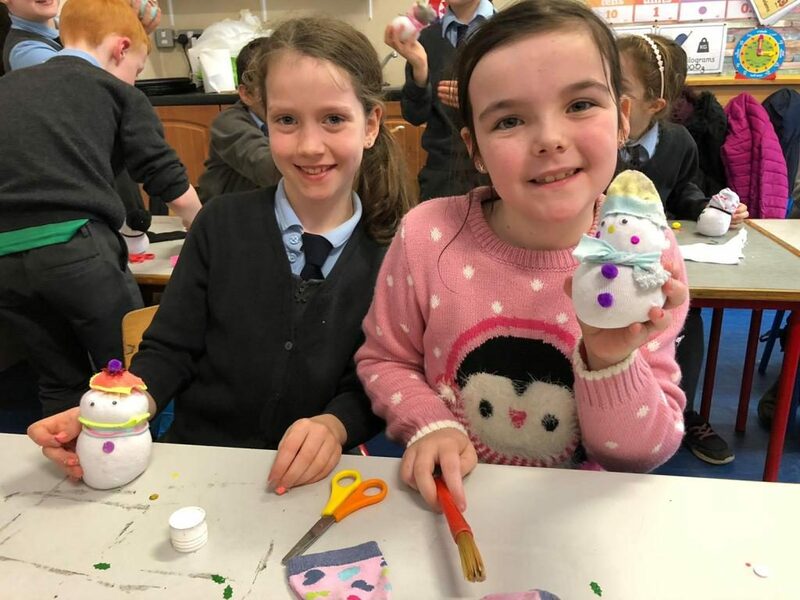 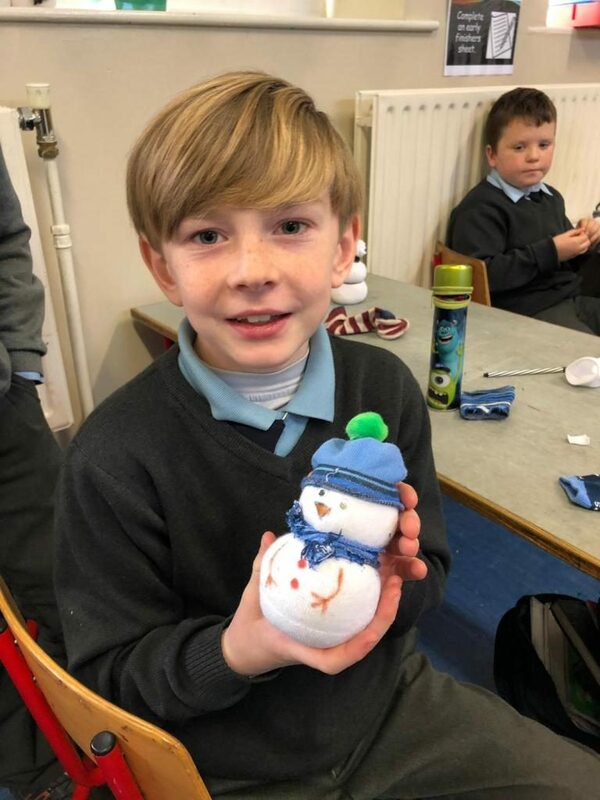 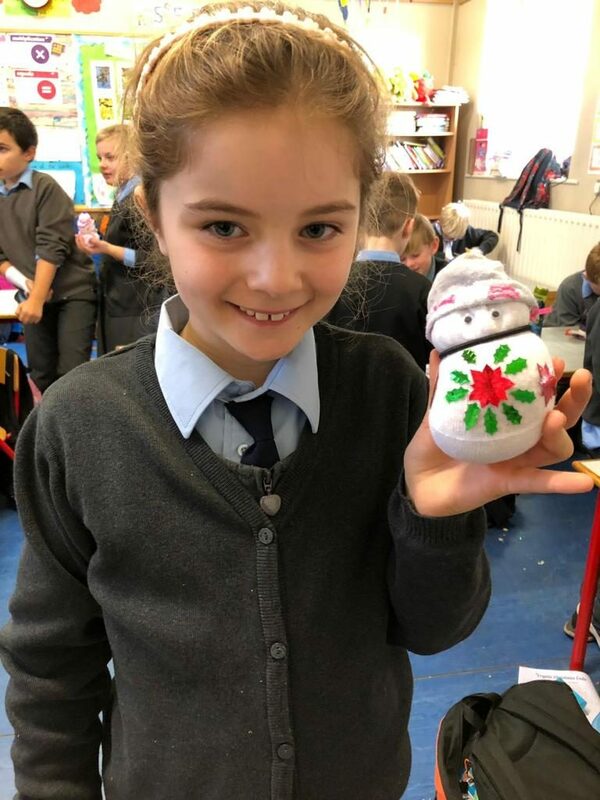 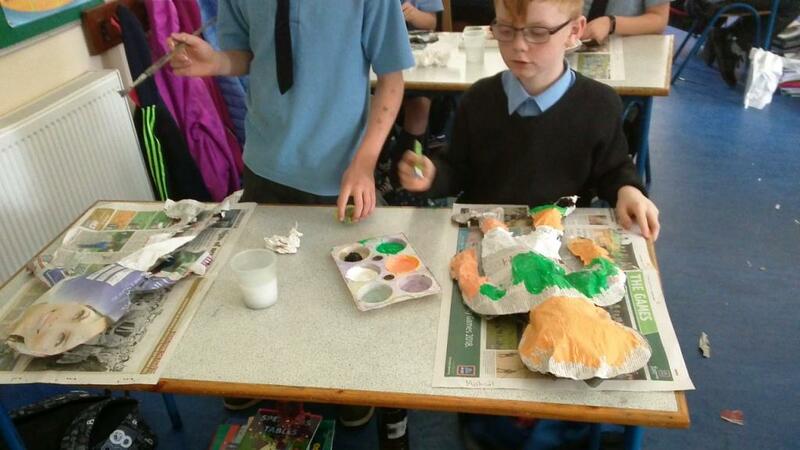 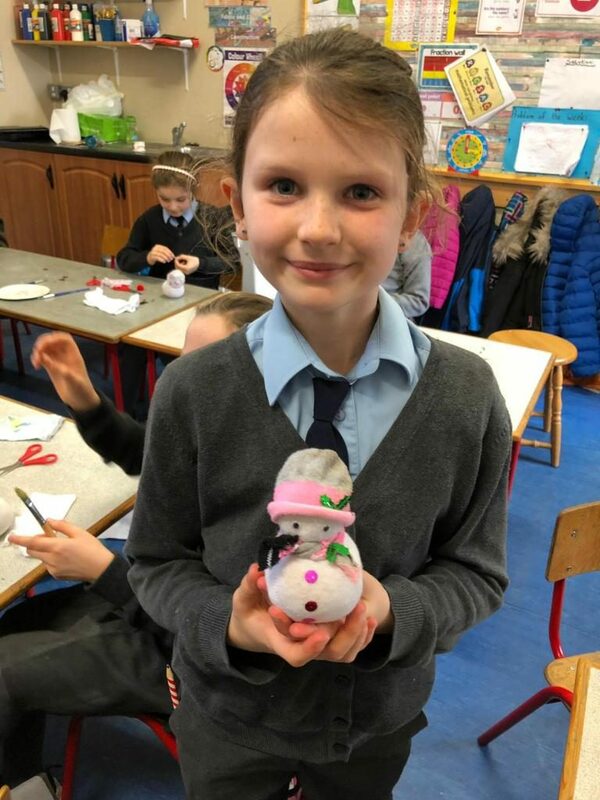 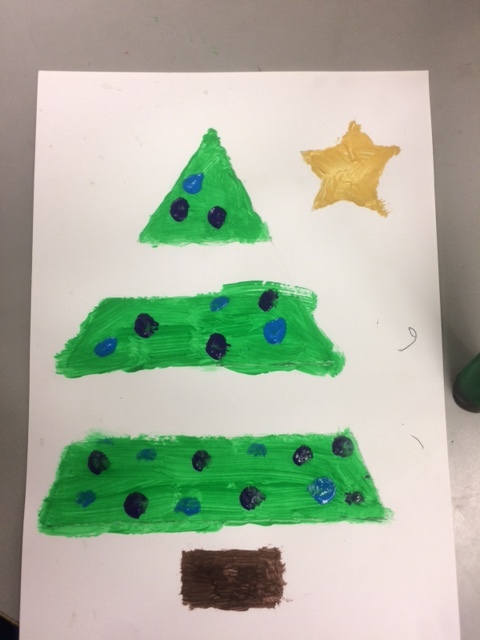 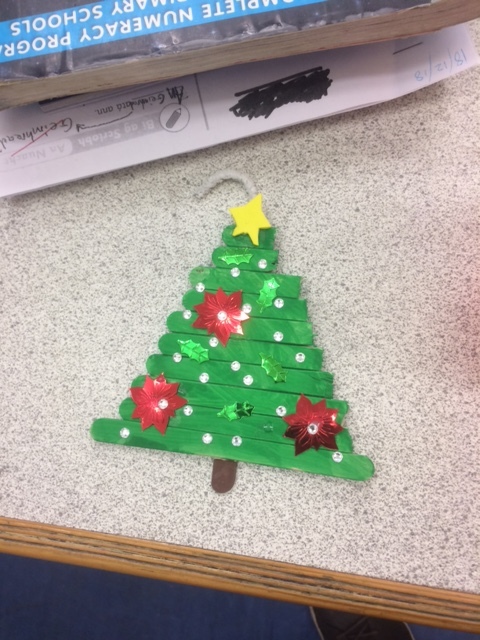 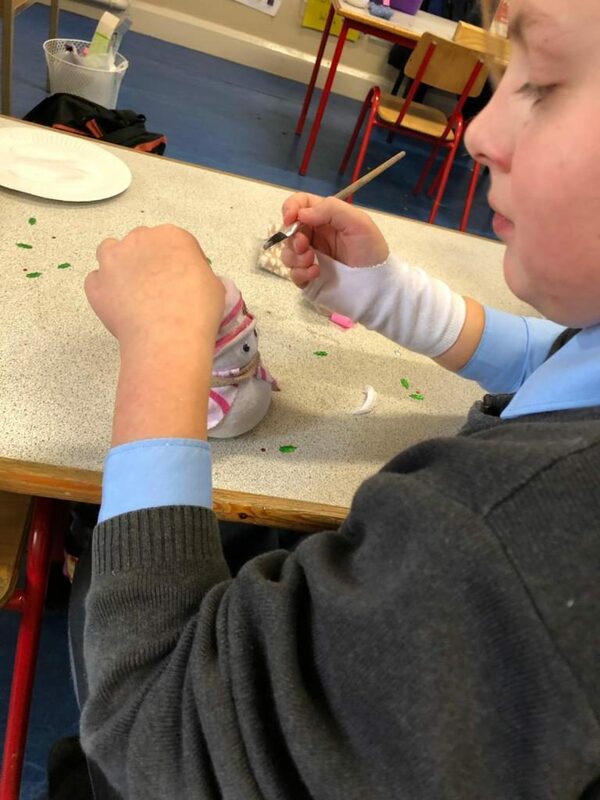 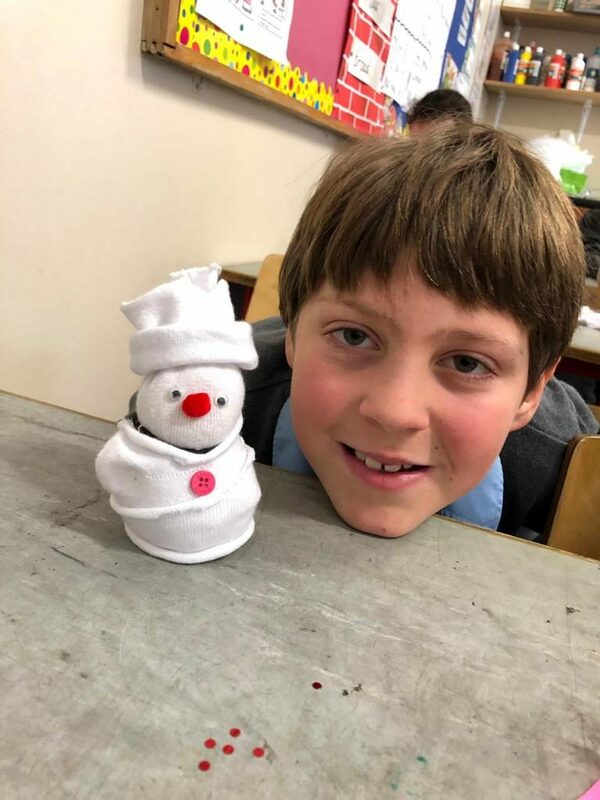 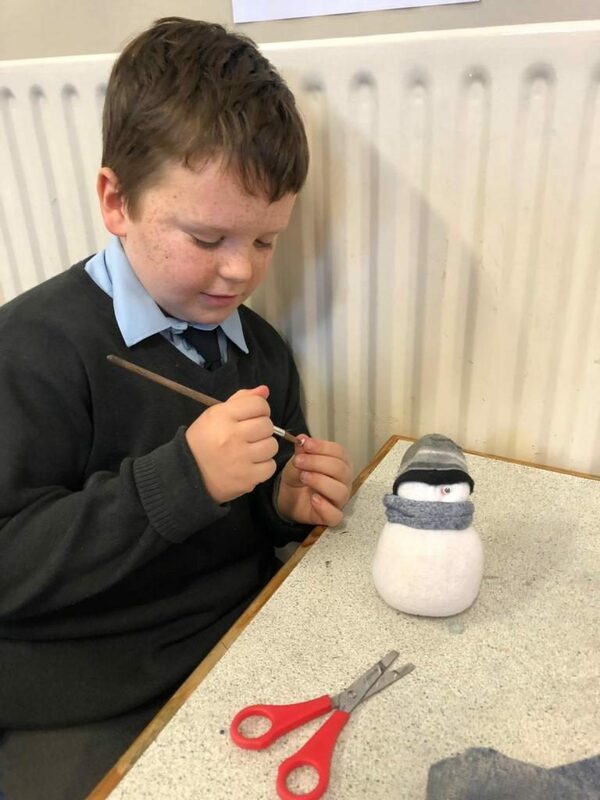 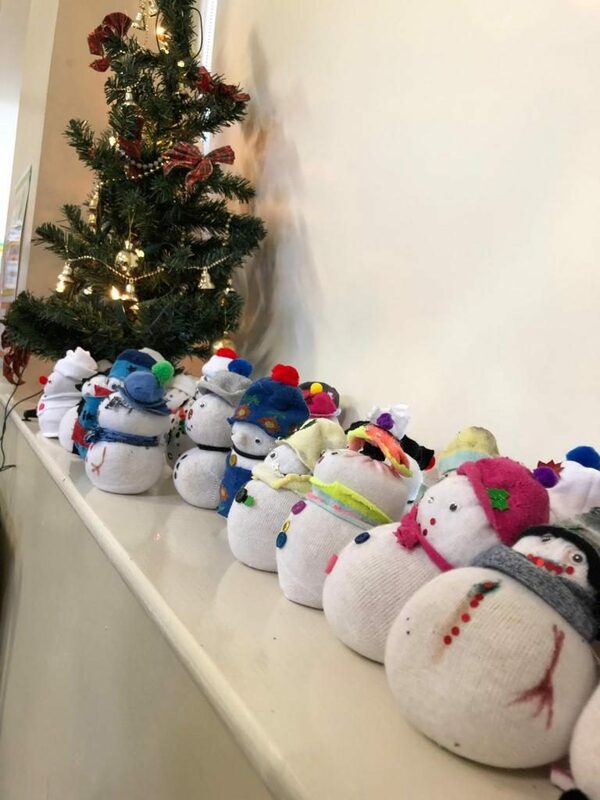 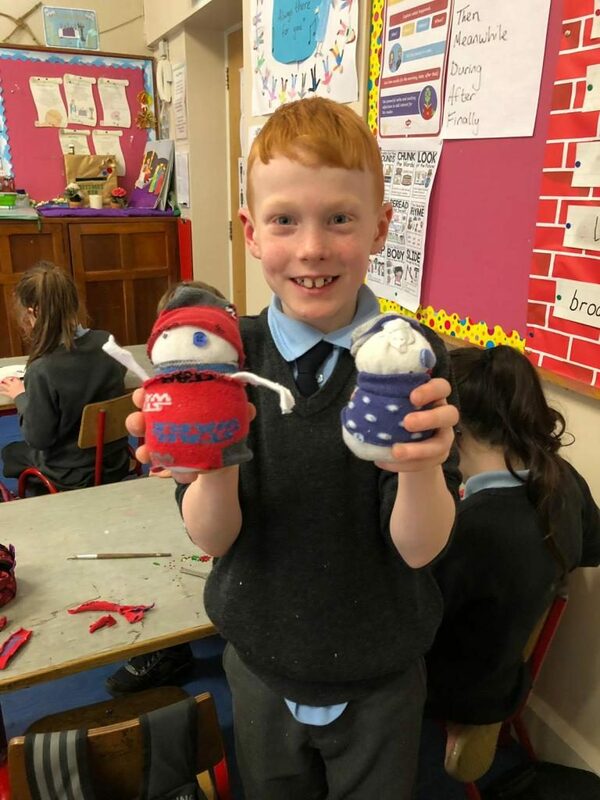 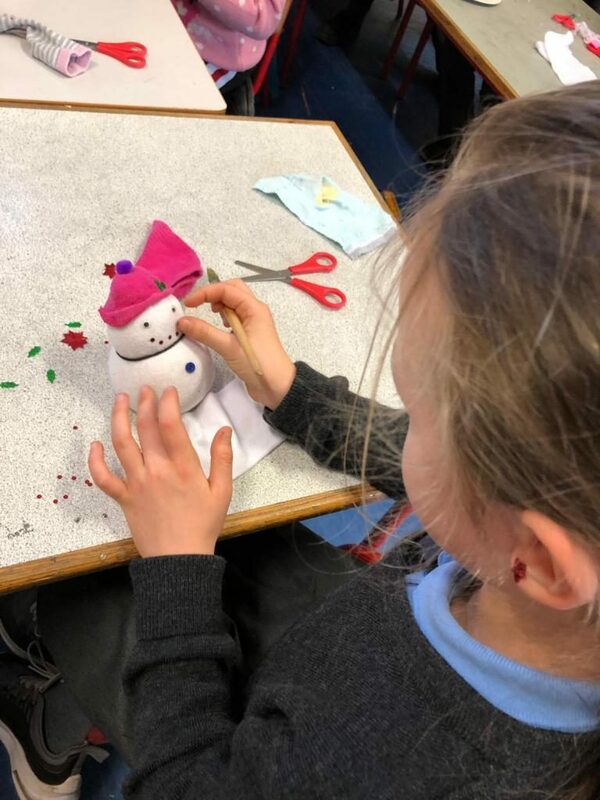 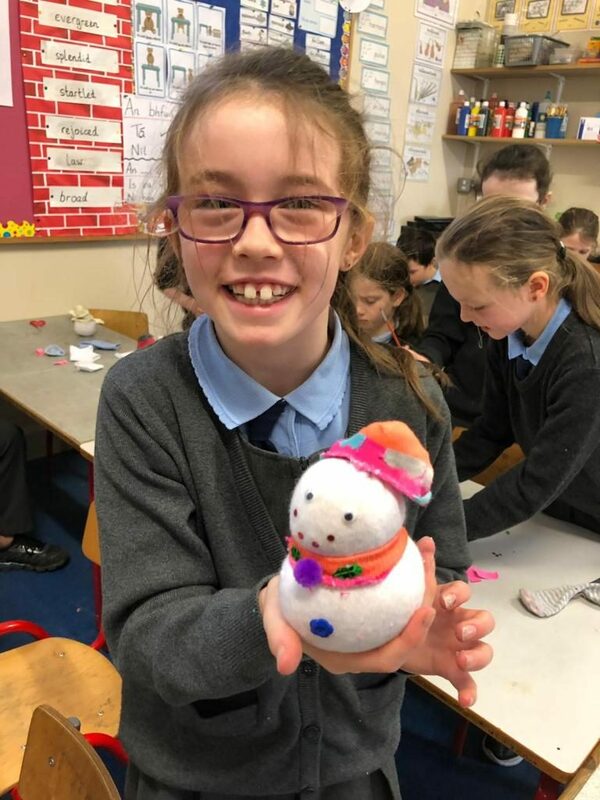 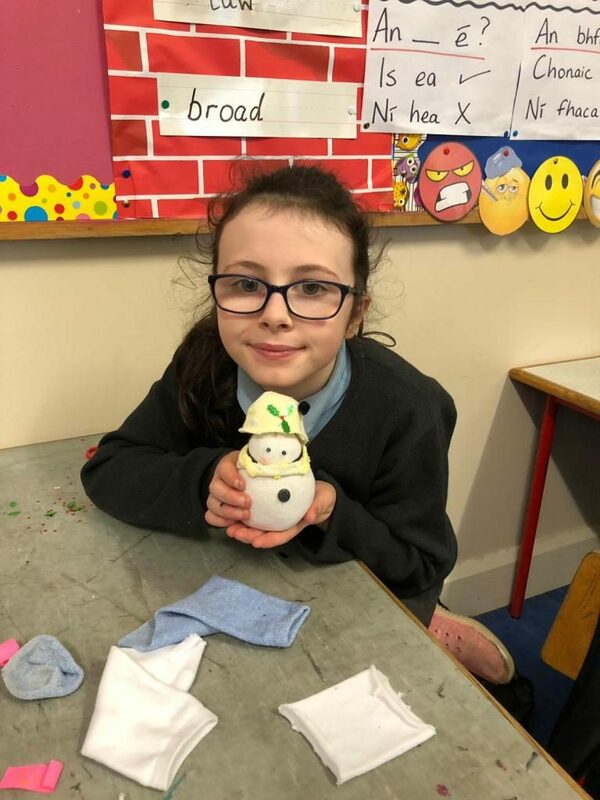 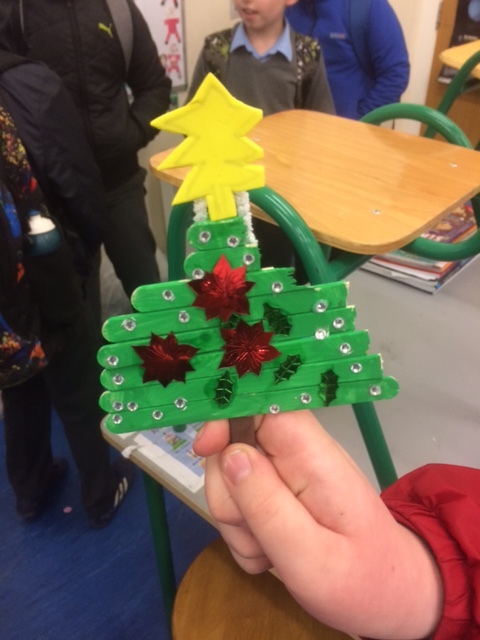 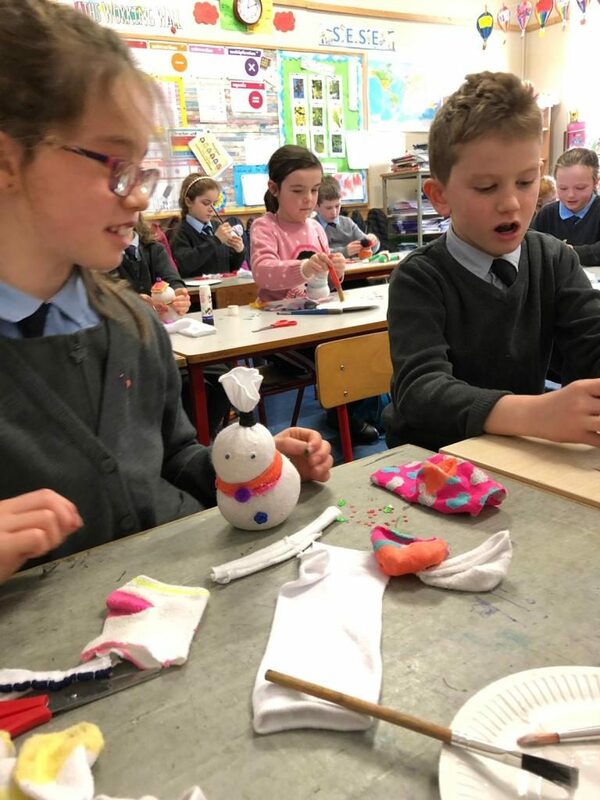 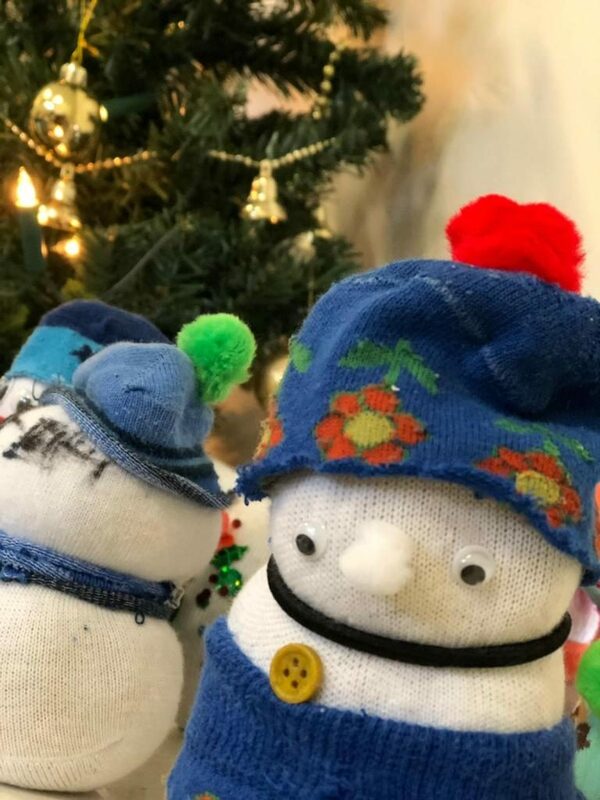 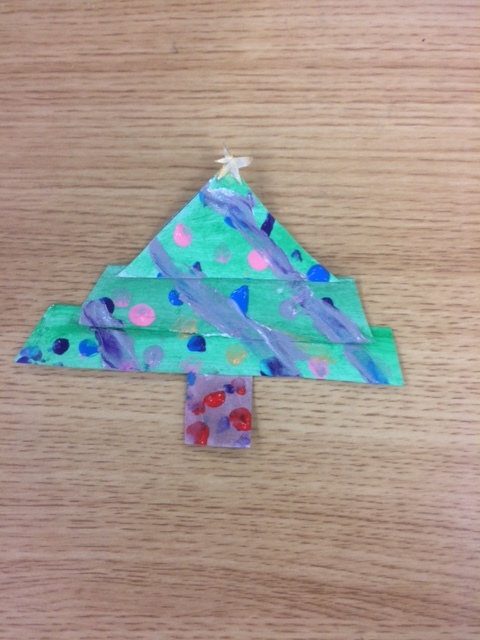 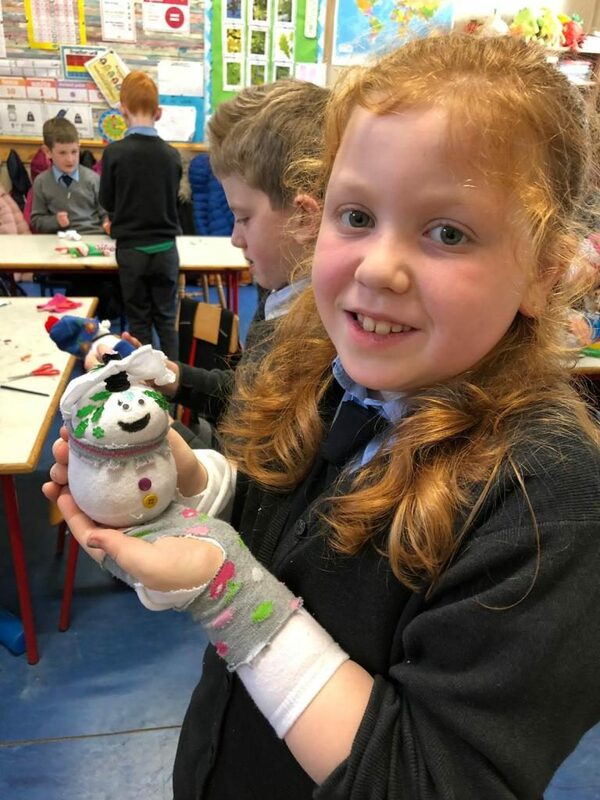 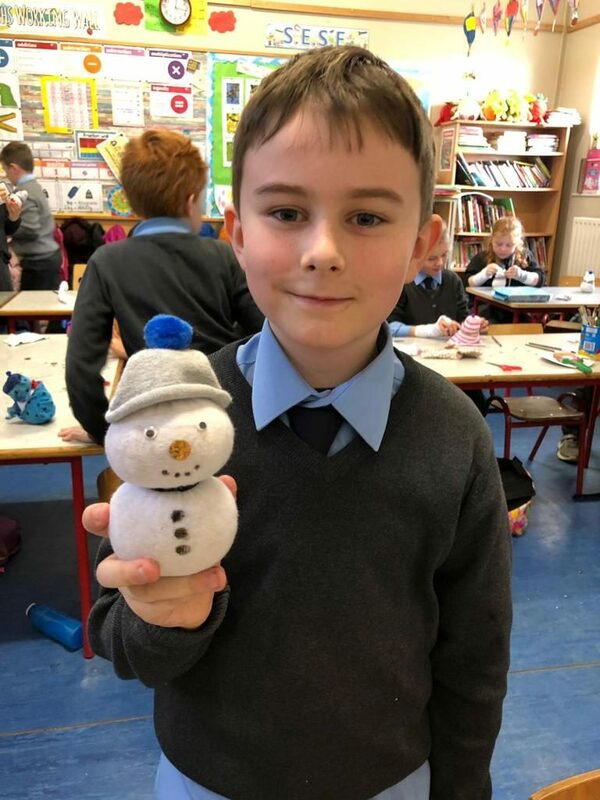 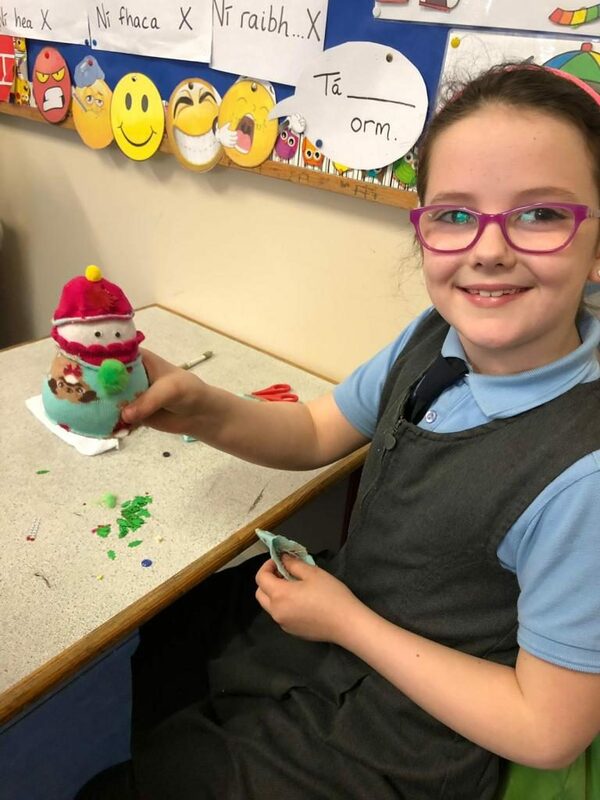 Second/Third class were busy right up until the holidays creating some very nice festive art! 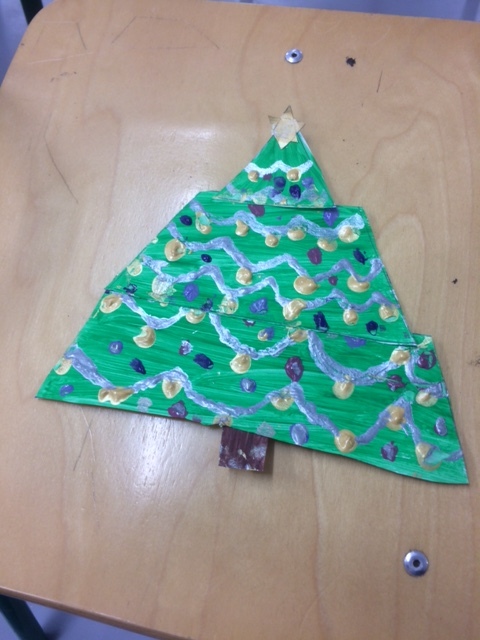 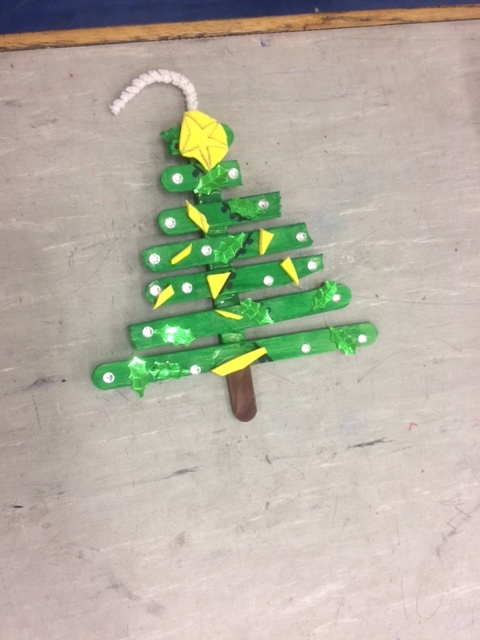 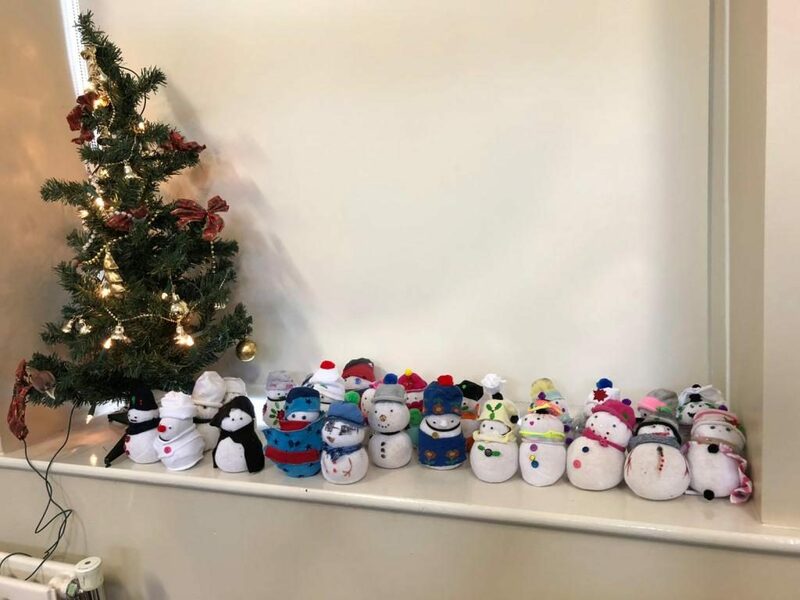 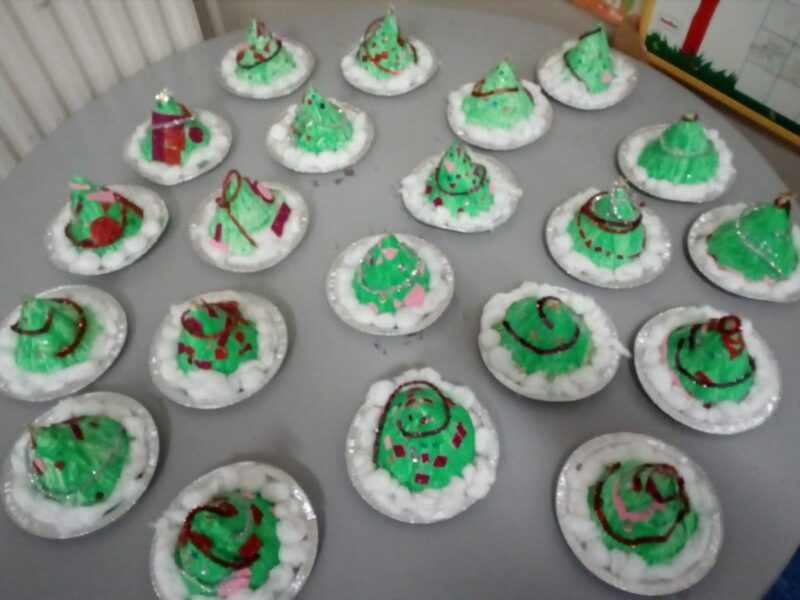 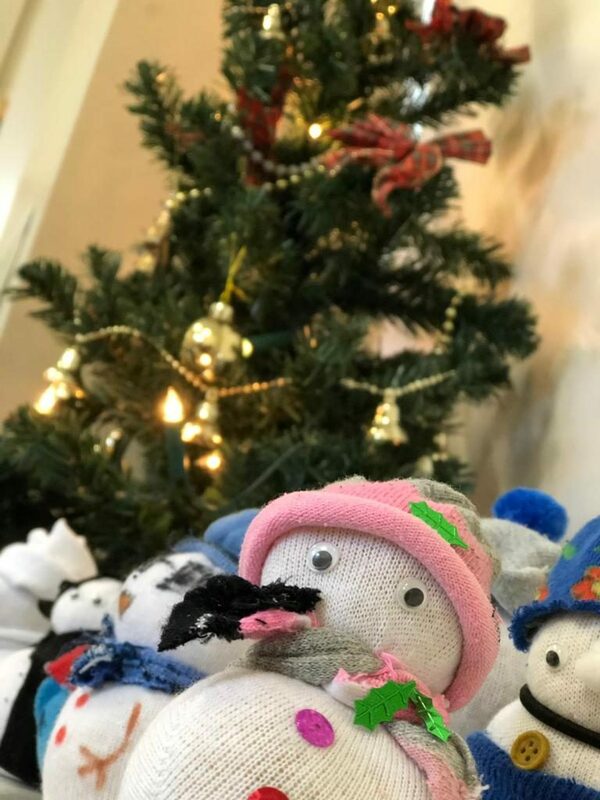 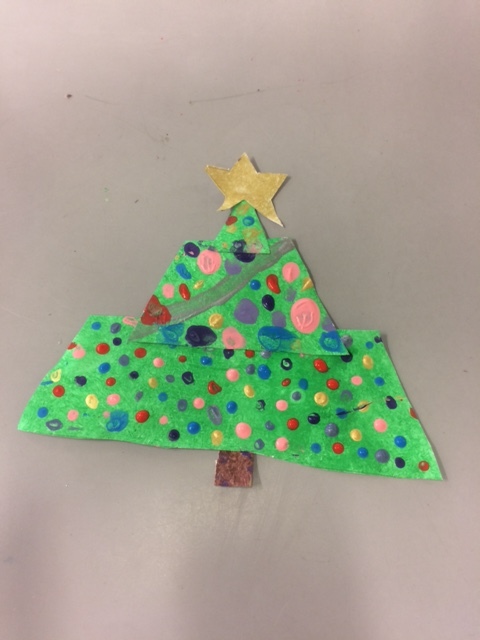 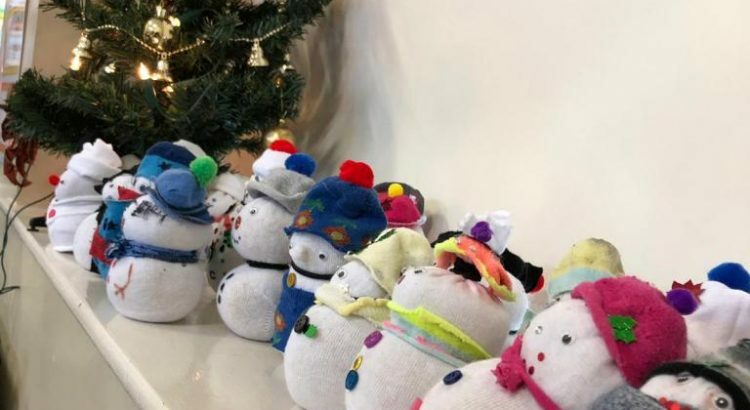 Here are some photos of Christmas art which has been completed by our pupils. 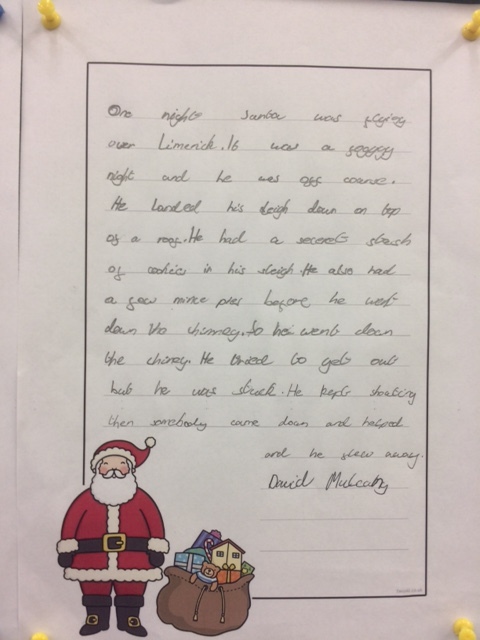 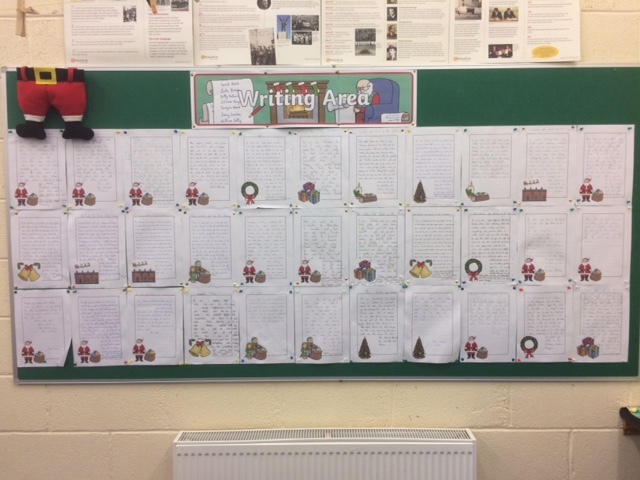 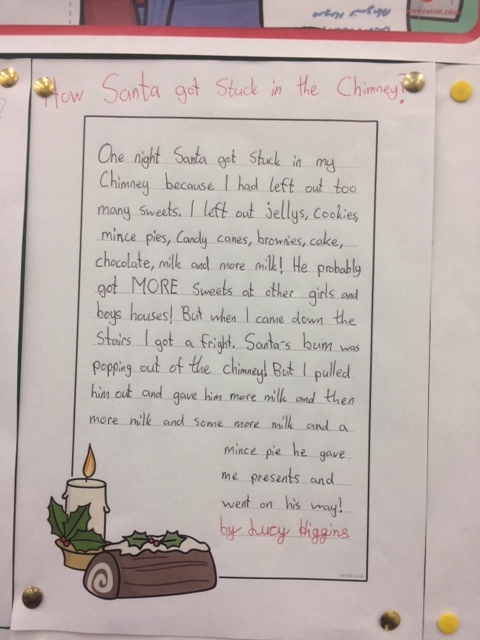 There are plenty examples of festive writing to be seen on the walls as well. 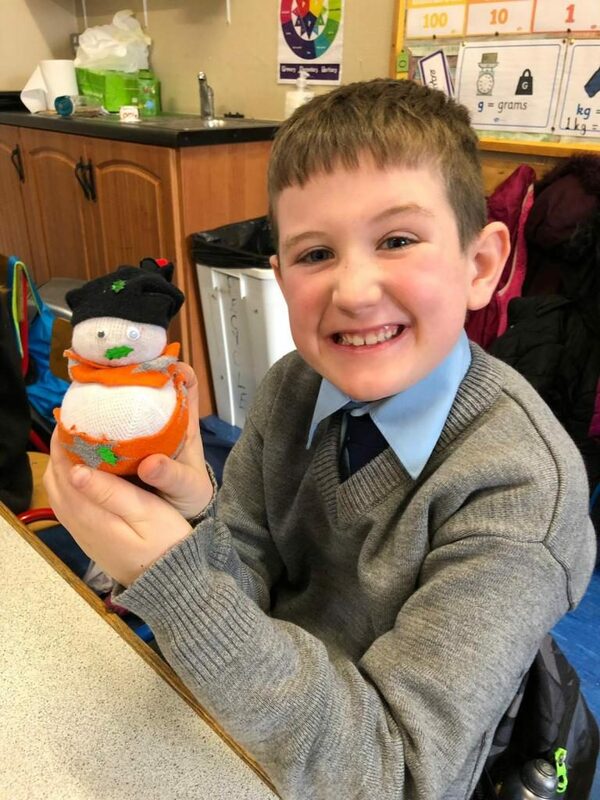 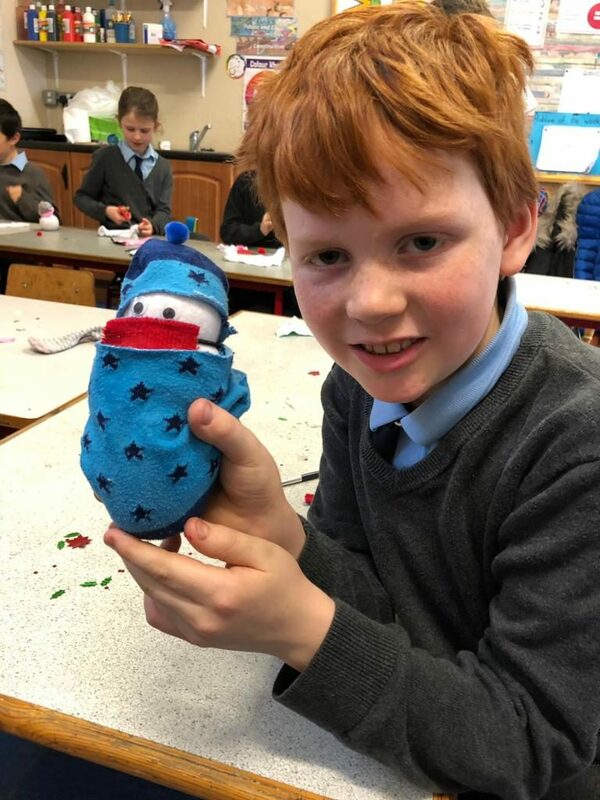 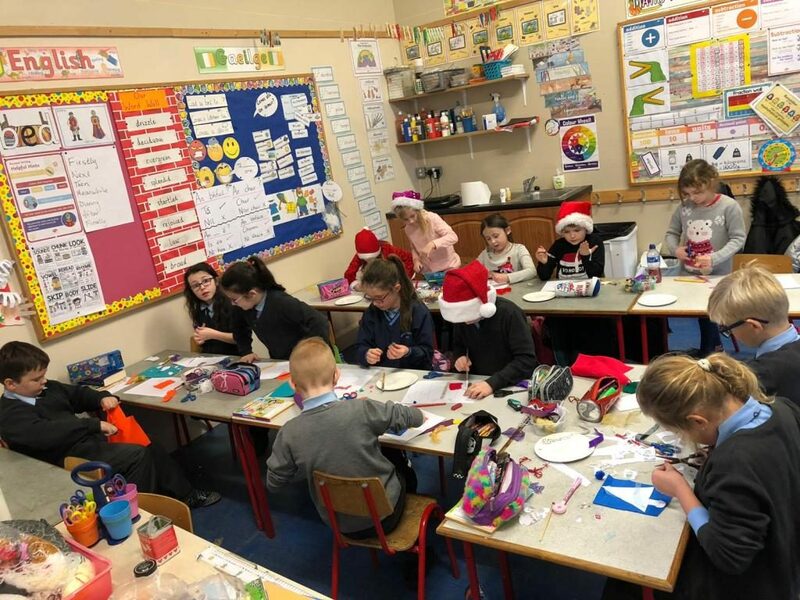 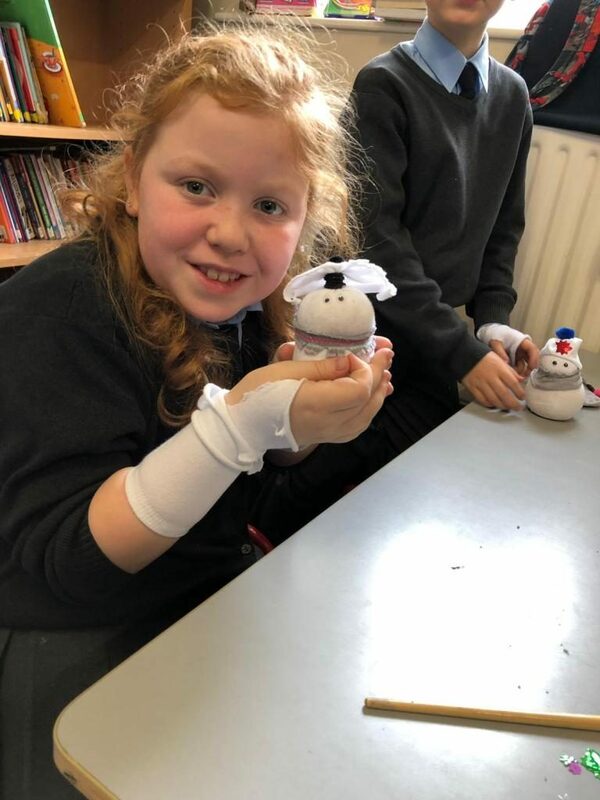 Pupils in Mr. Fitzgerald and Mrs. Heelan’s classes took part in a monster Christmas Quiz this morning. 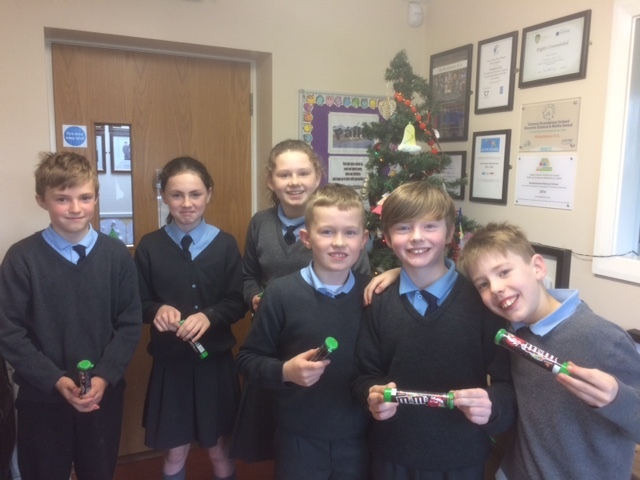 Well done to the winning team who got a very impressive 60 questions out of 64 correct, pipping the second placed team to victory by one point. 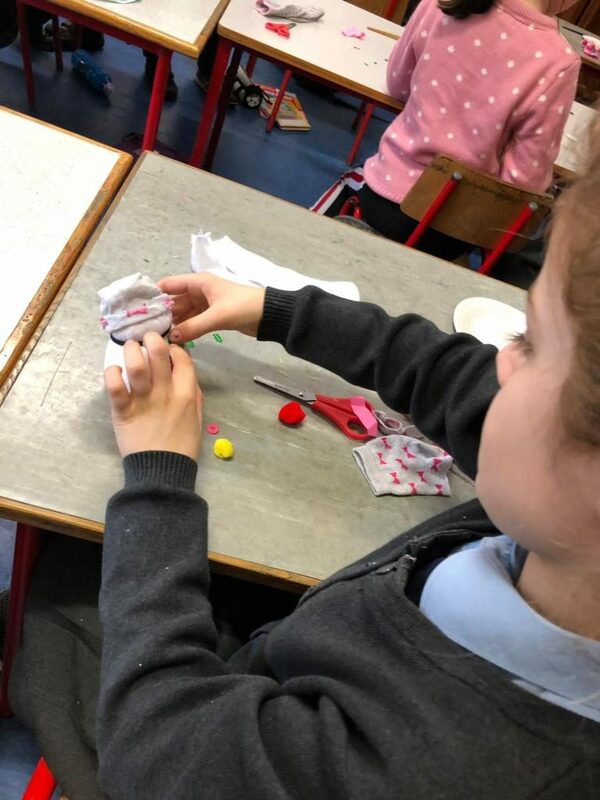 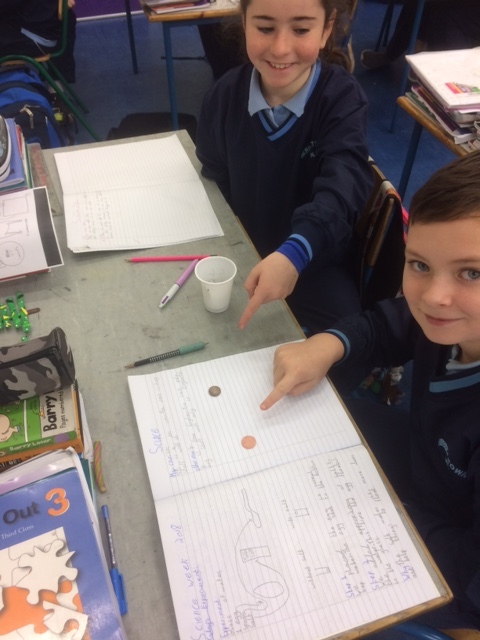 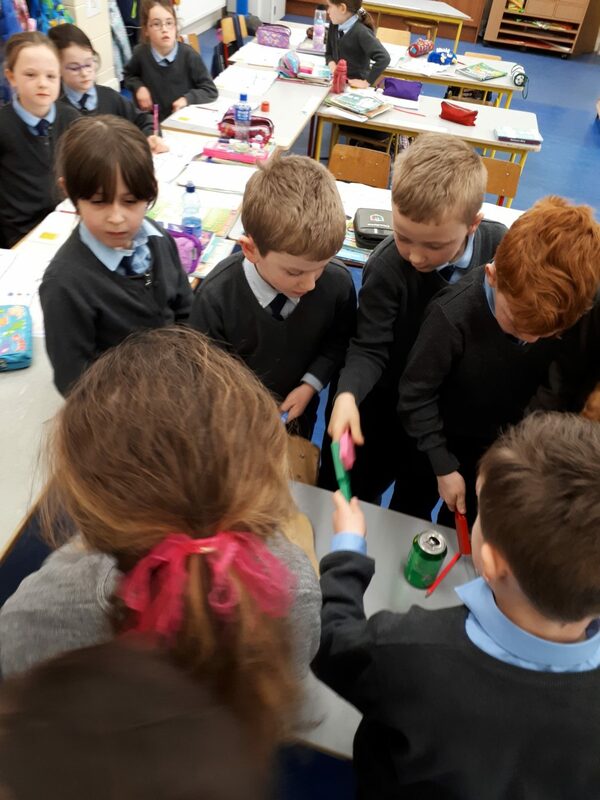 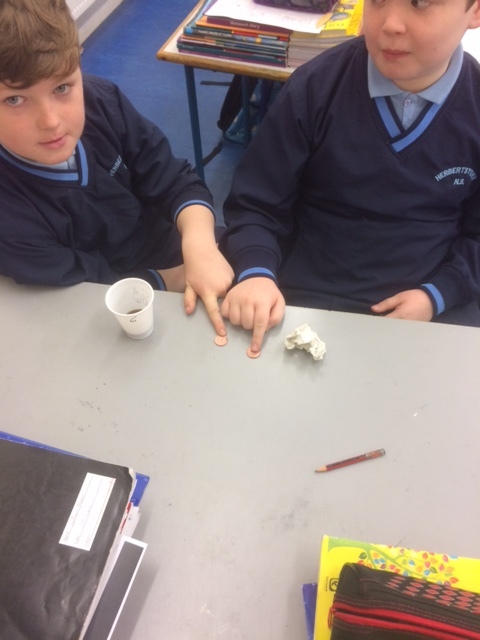 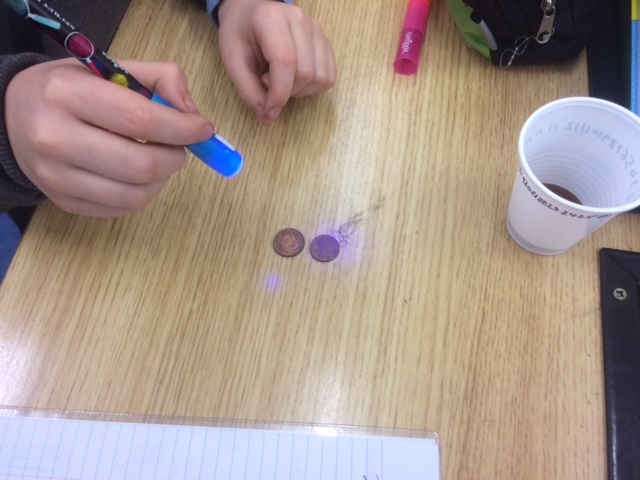 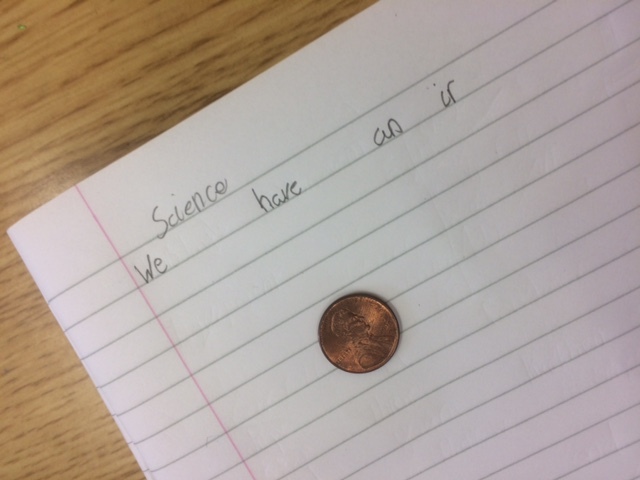 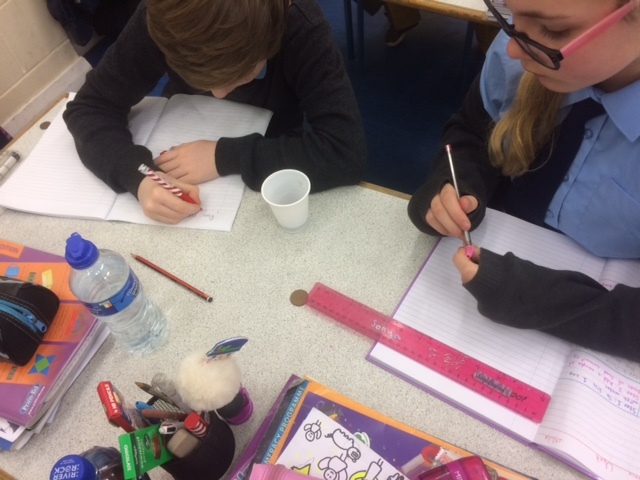 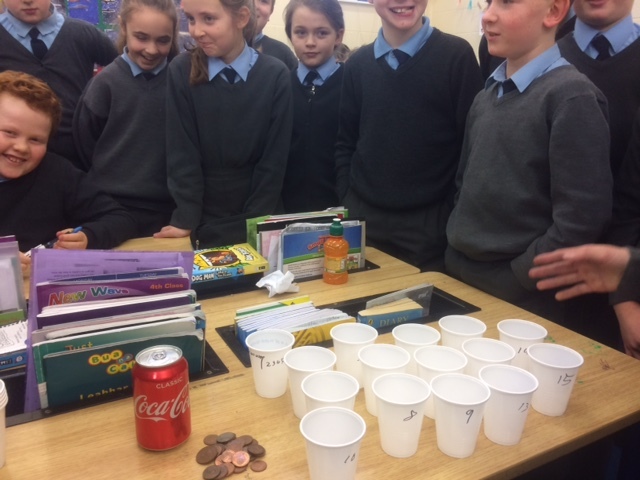 The pupils of third & fourth class investigated the effects of Coca Cola on old coins. 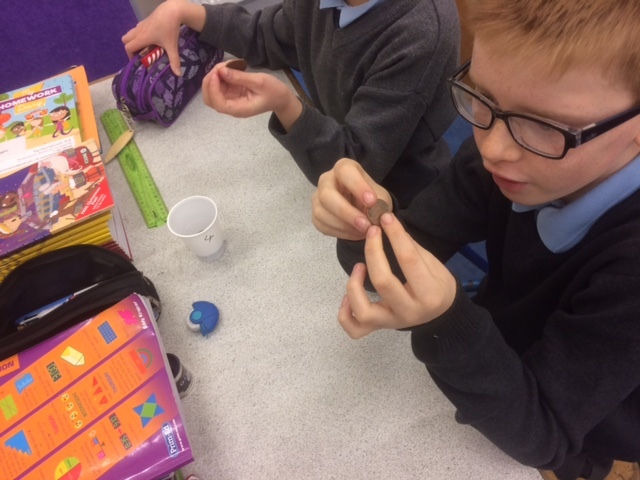 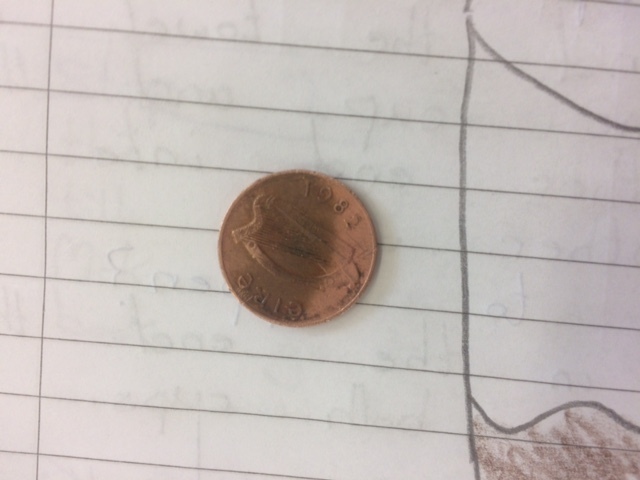 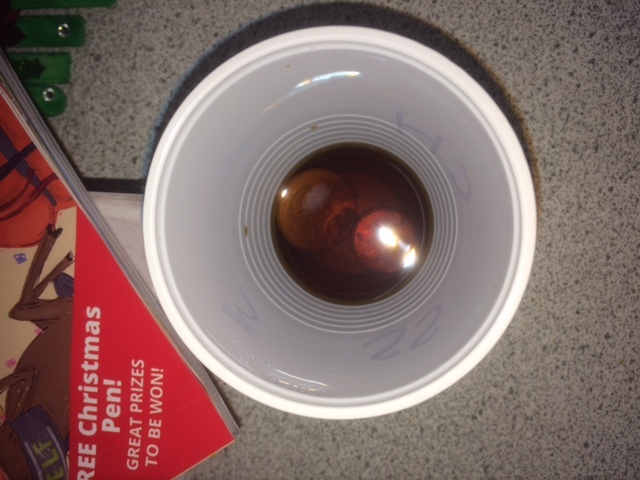 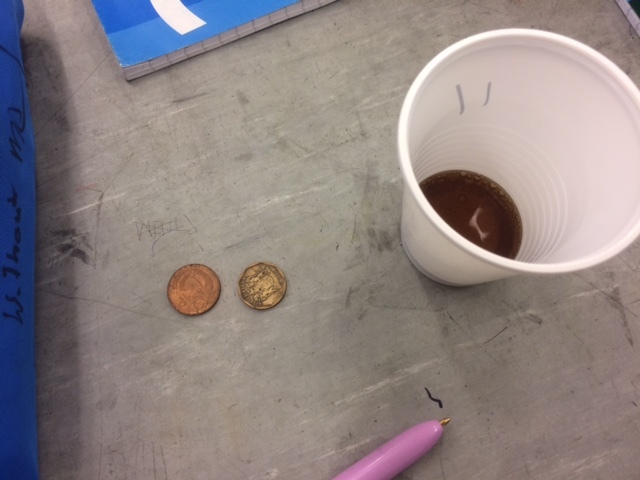 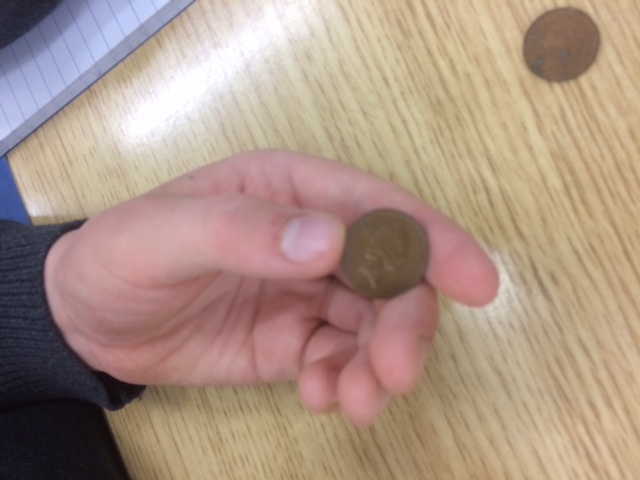 The pupils documented what the coins looked like before submerging them in Coca Cola for 24 hours and then checked the results. 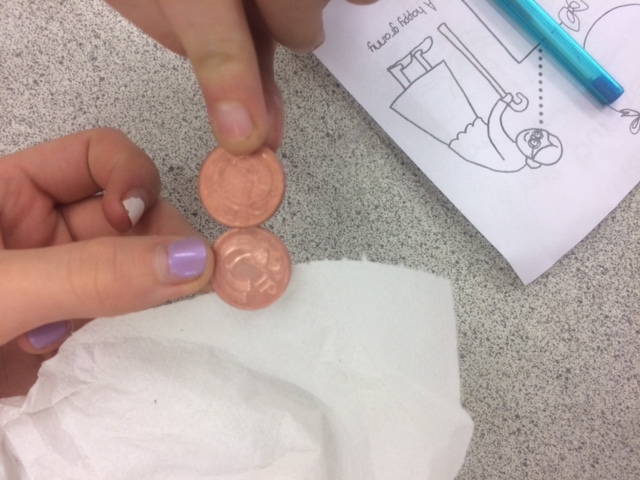 The majority of groups noticed a big difference in the coins once they gave them a clean up once they came out of the coke. 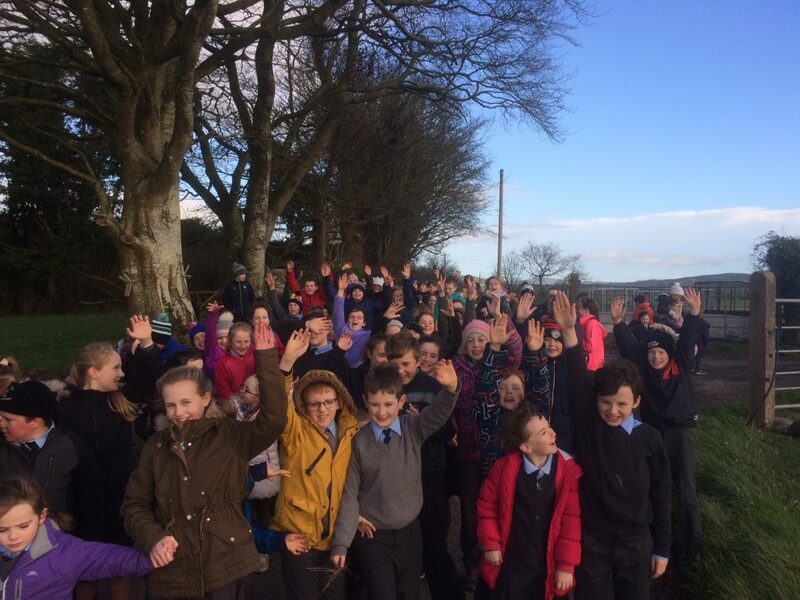 We brought forward our WOW walk to enjoy the lovely winter sunshine on Tuesday. 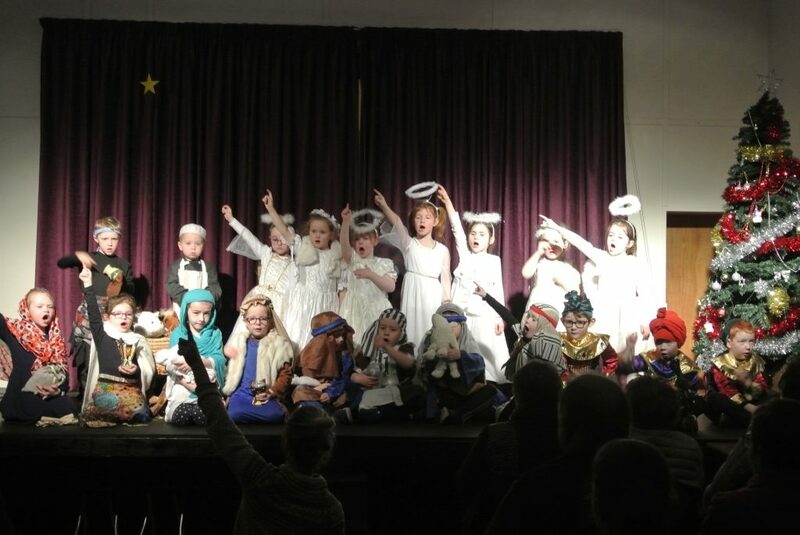 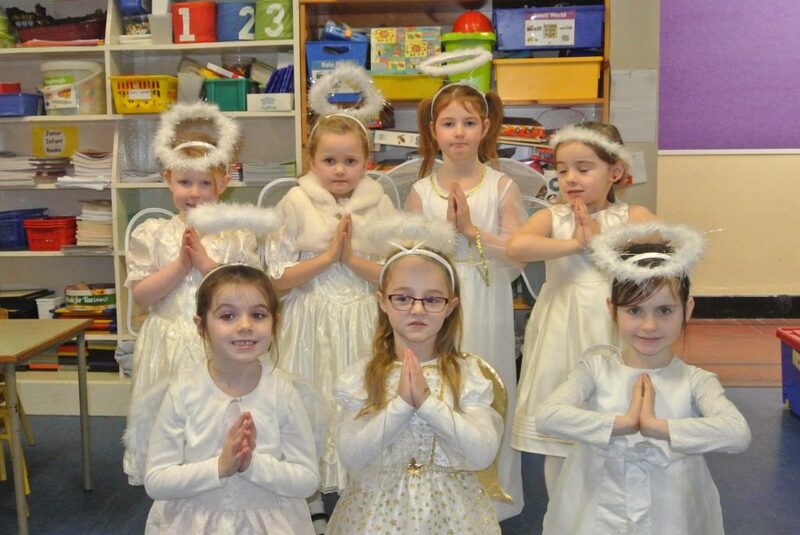 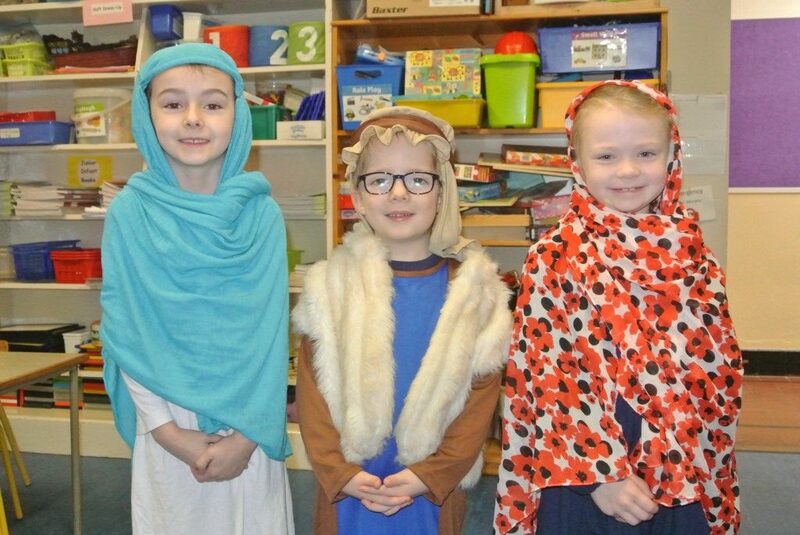 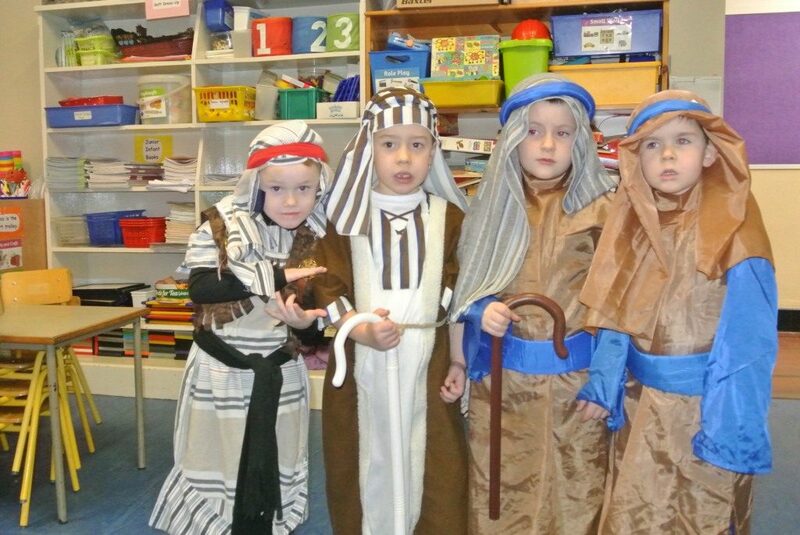 Congratulations to all involved in our Christmas Shows this week. 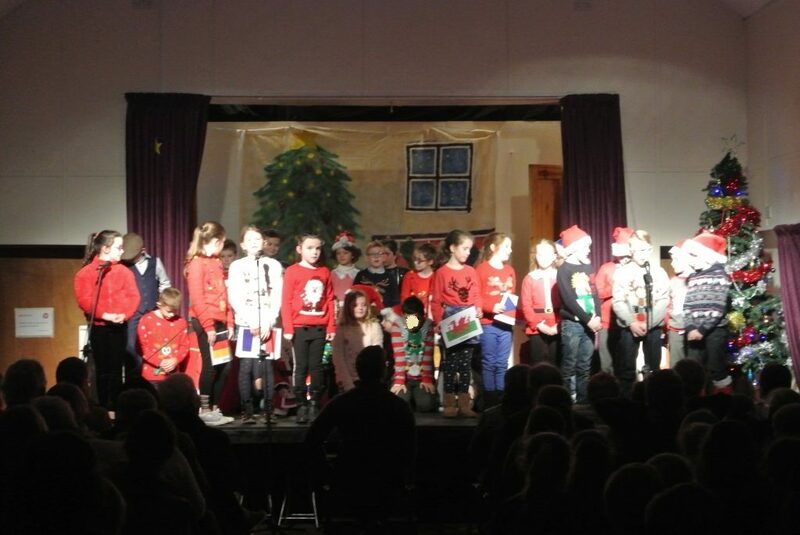 The well attended shows were very entertaining and the boys and girls deserve huge credit for the work they did in preparation. 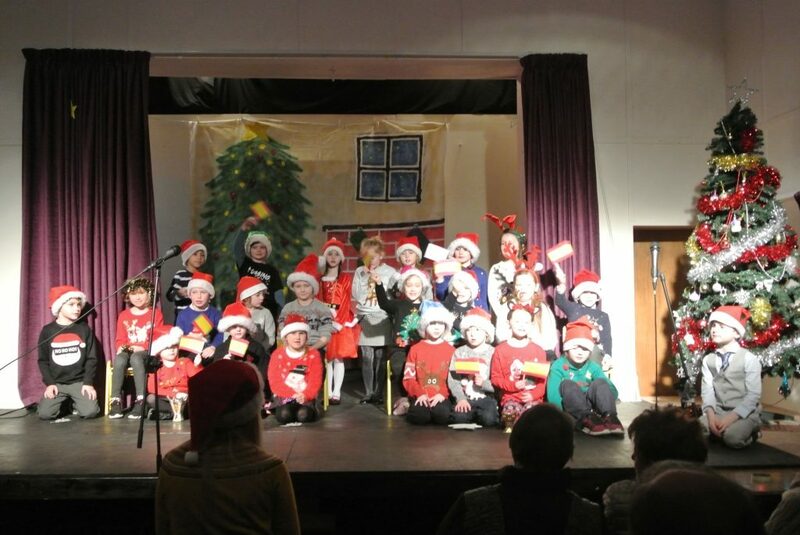 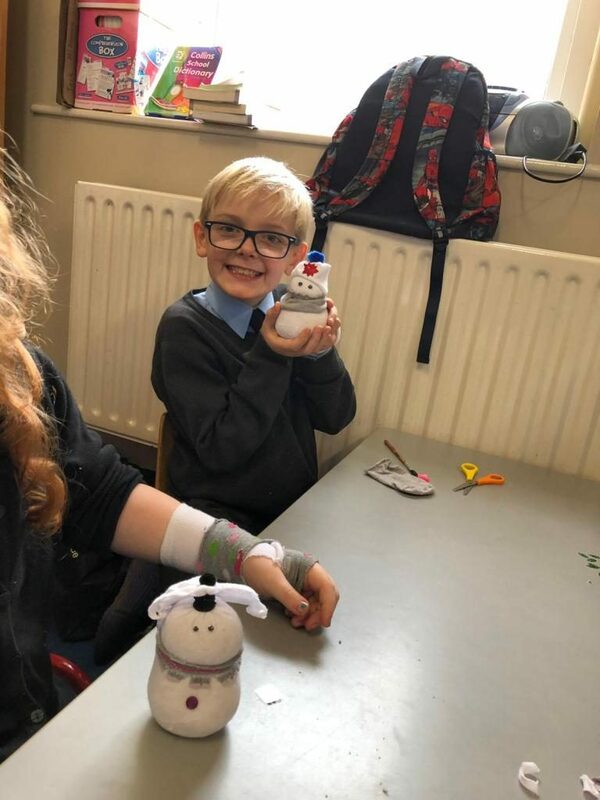 Thank you to everyone who came along and supported the children and their school and well done to Mrs Murphy, Ms Davis and Mr Gubbins. 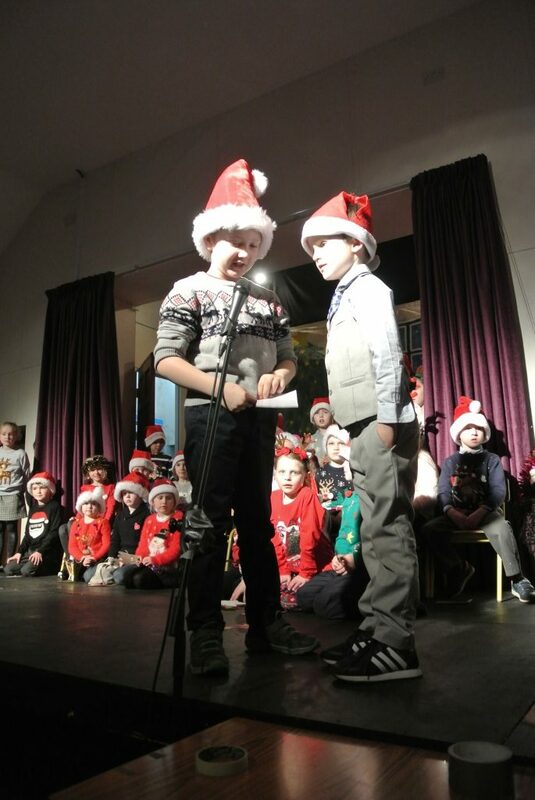 Well done to all boys and girls carol singing yesterday. 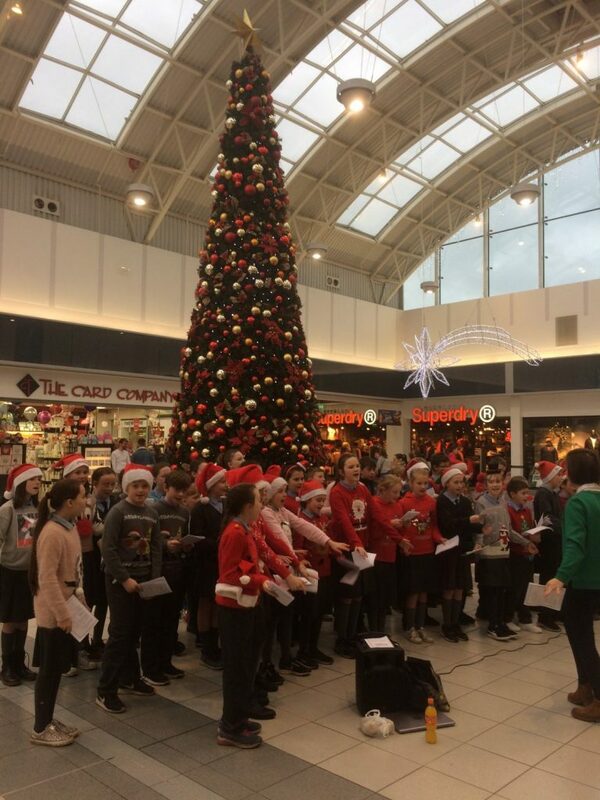 Thank you to all the parents and family members who came out to support the choir. 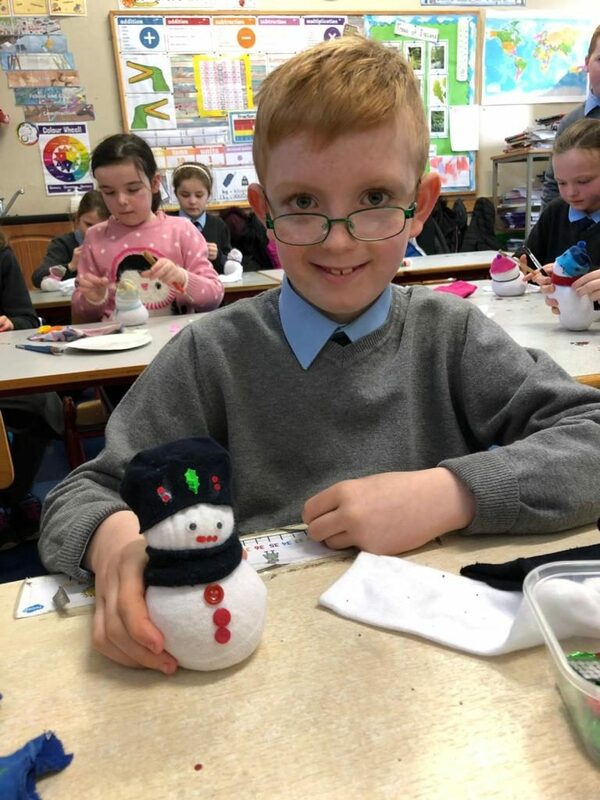 €677.70 raised. 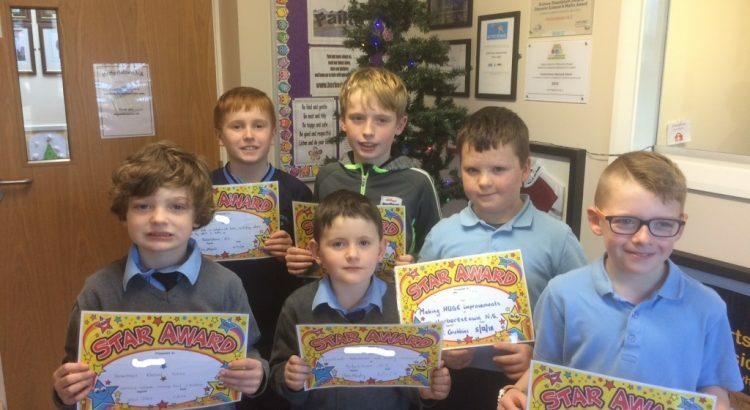 Congratulations to our Star Award winners for November! 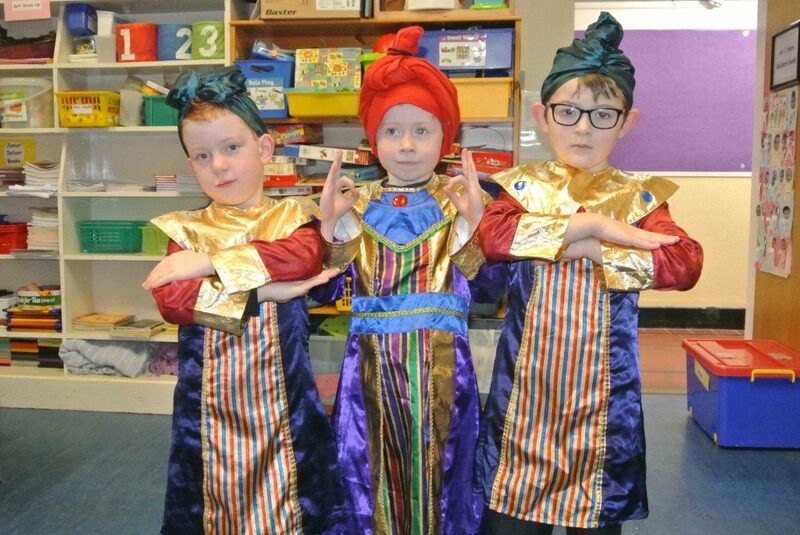 One pupil from each classroom was selected by their class teacher and the award winners were presented with certificates at today’s assembly. 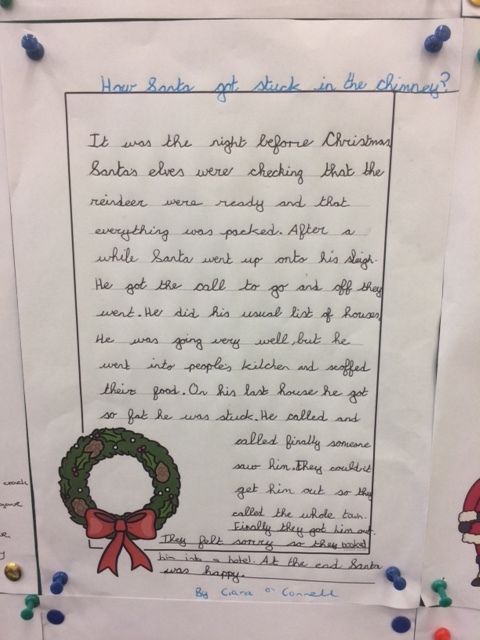 They were also given a night off homework for their efforts! 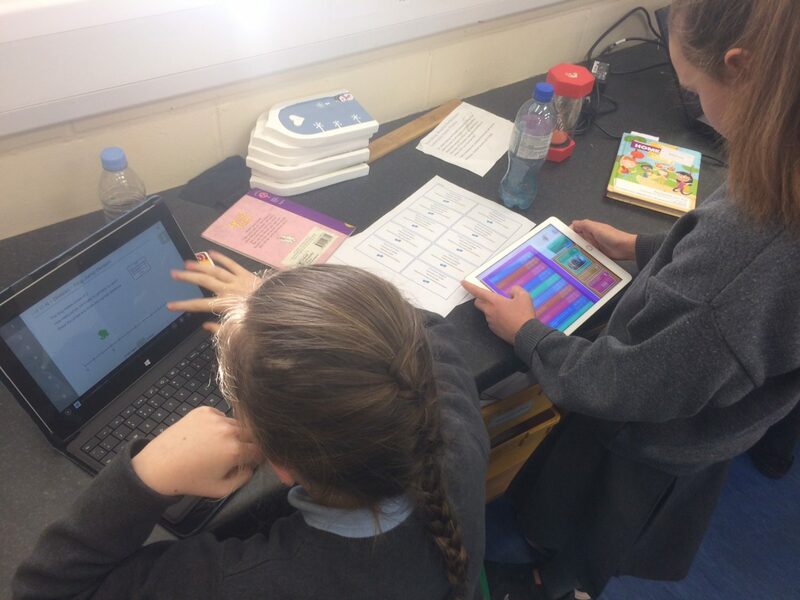 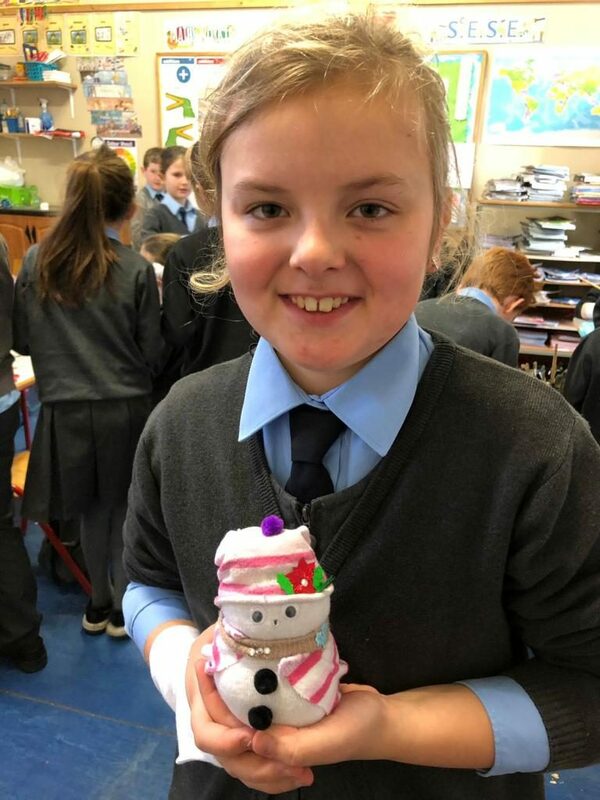 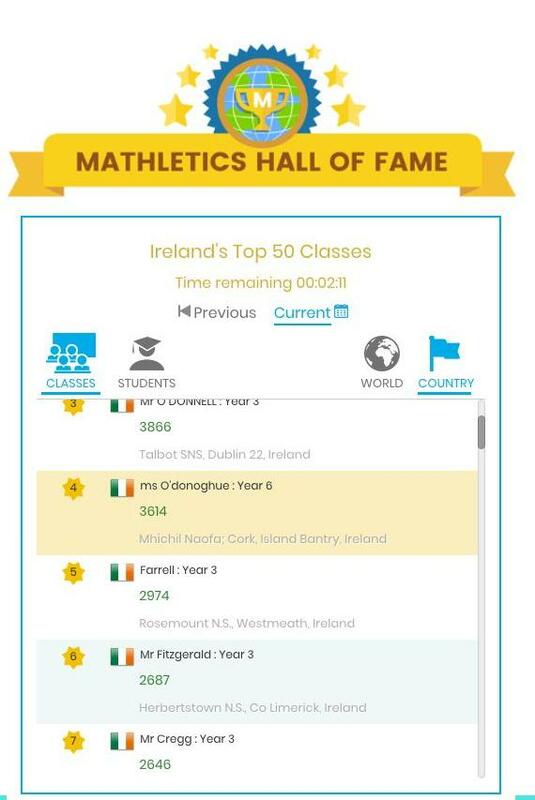 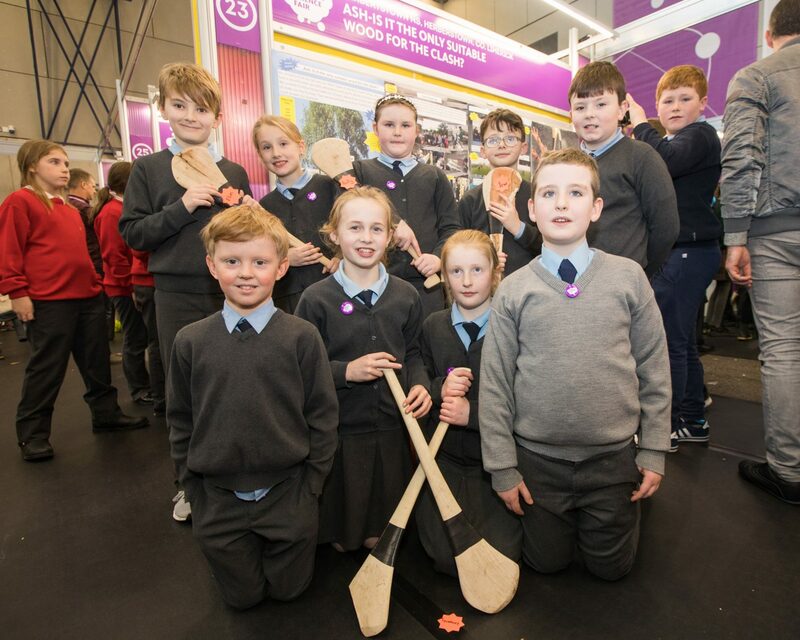 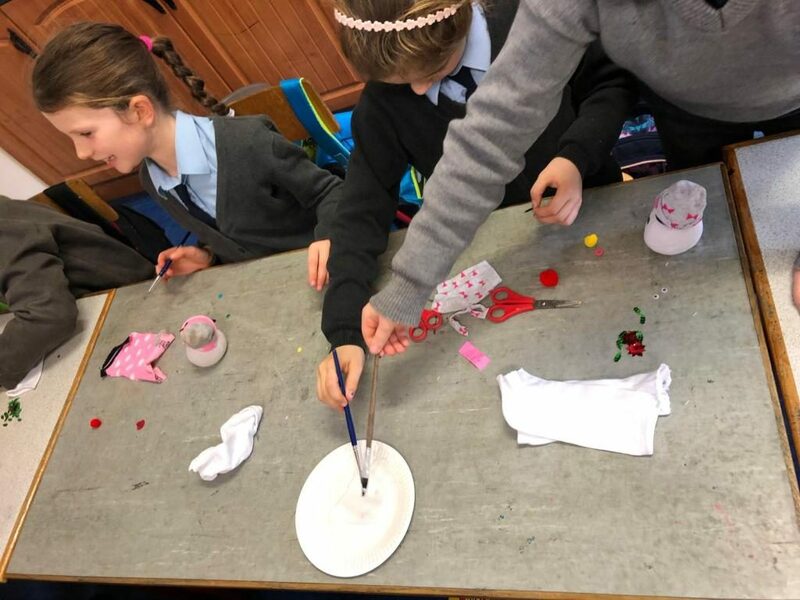 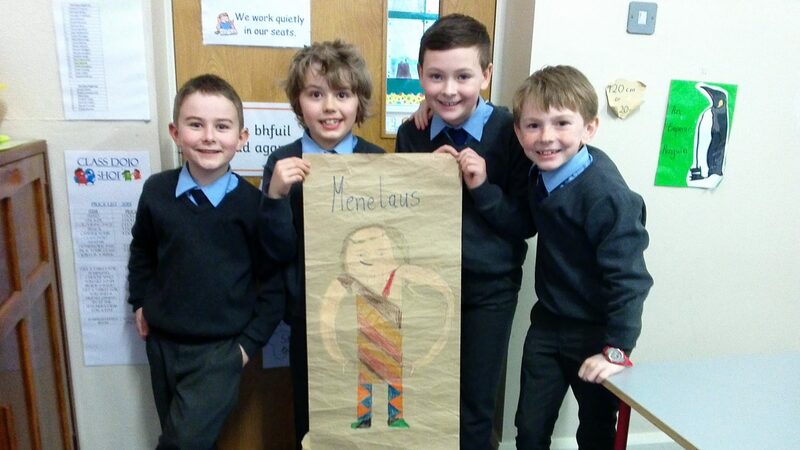 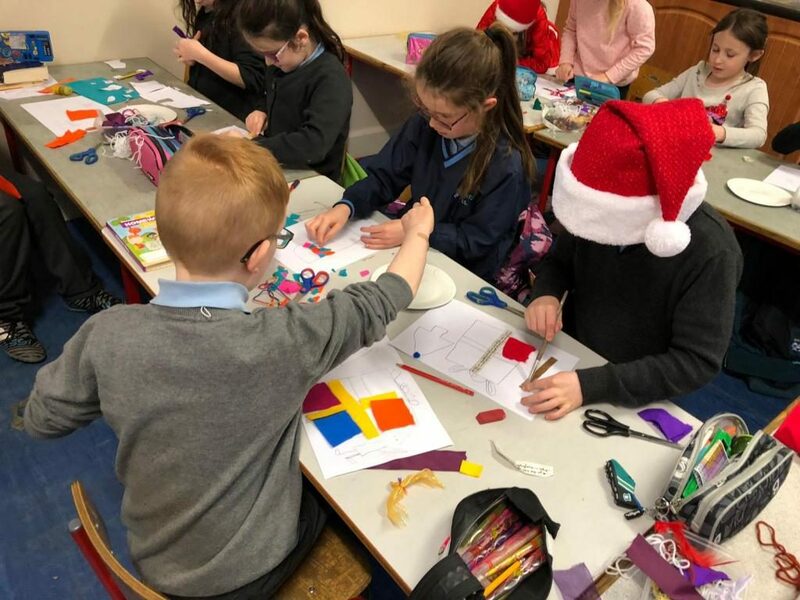 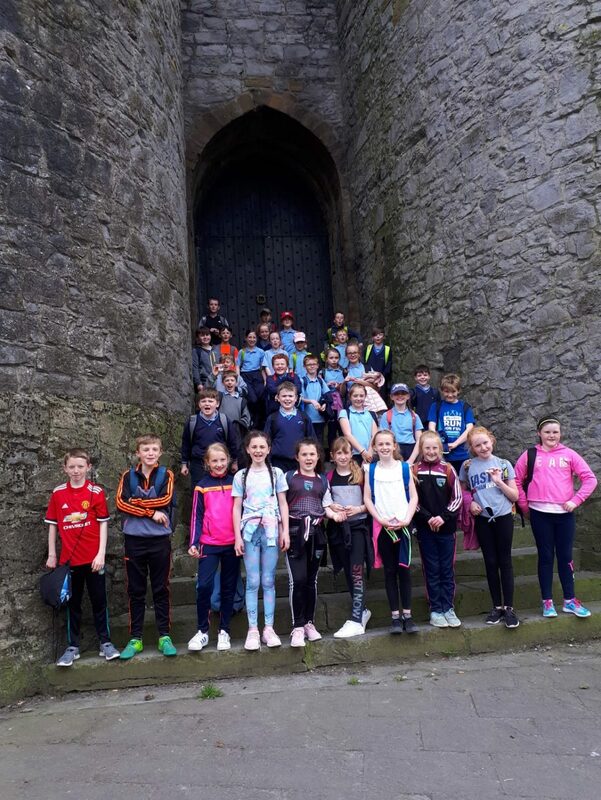 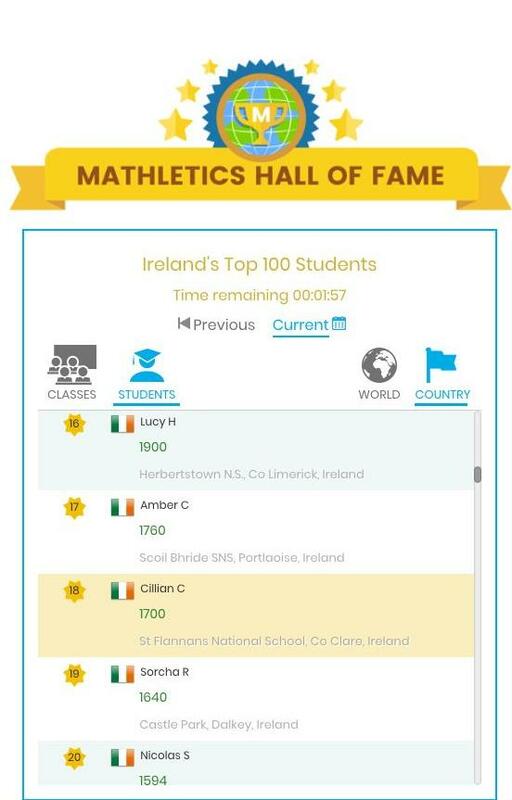 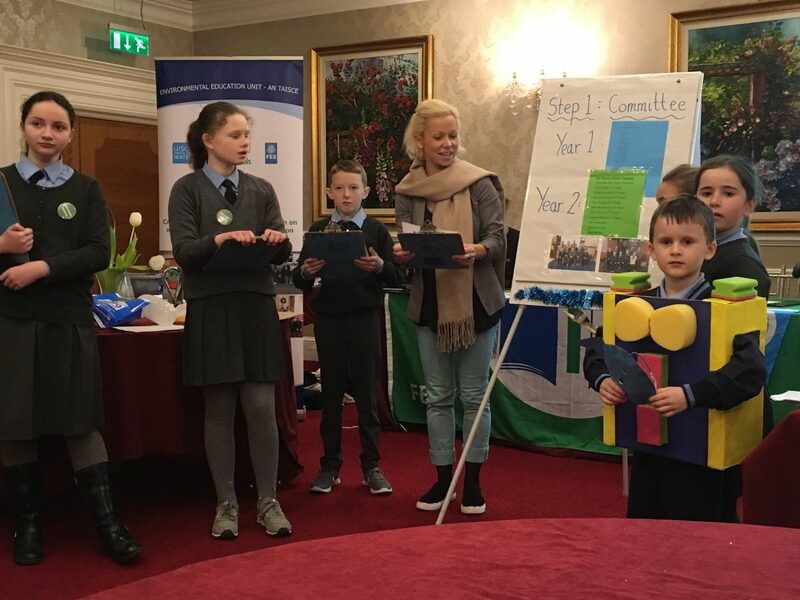 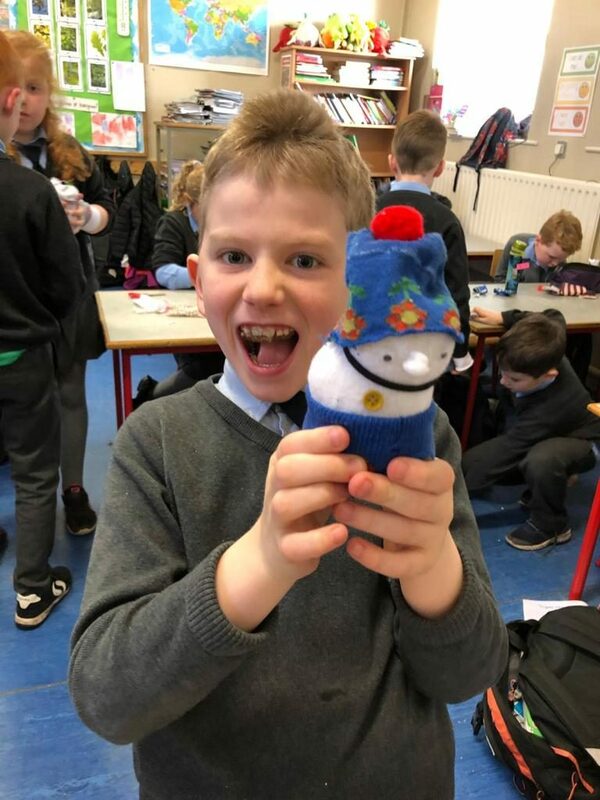 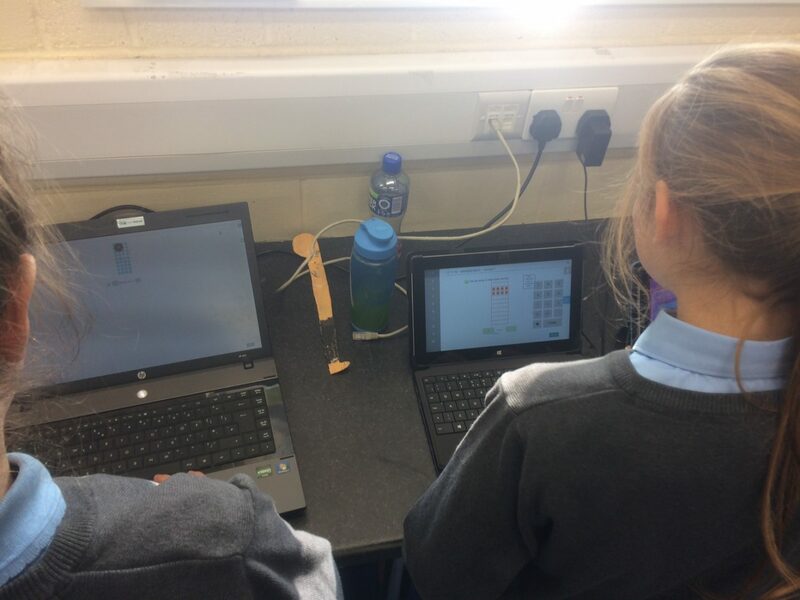 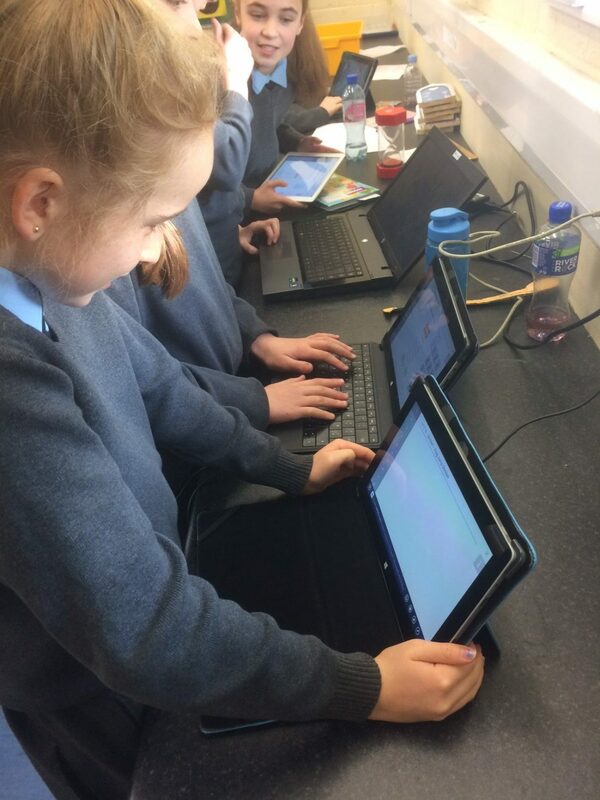 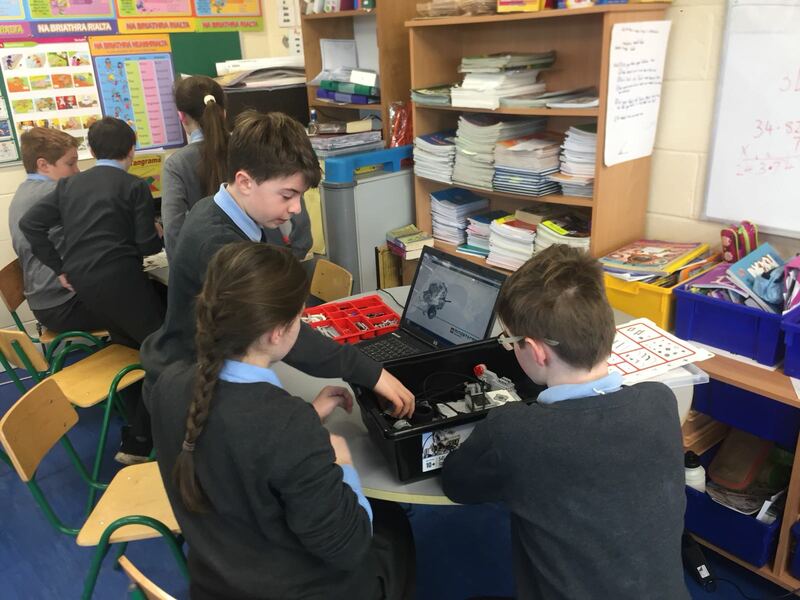 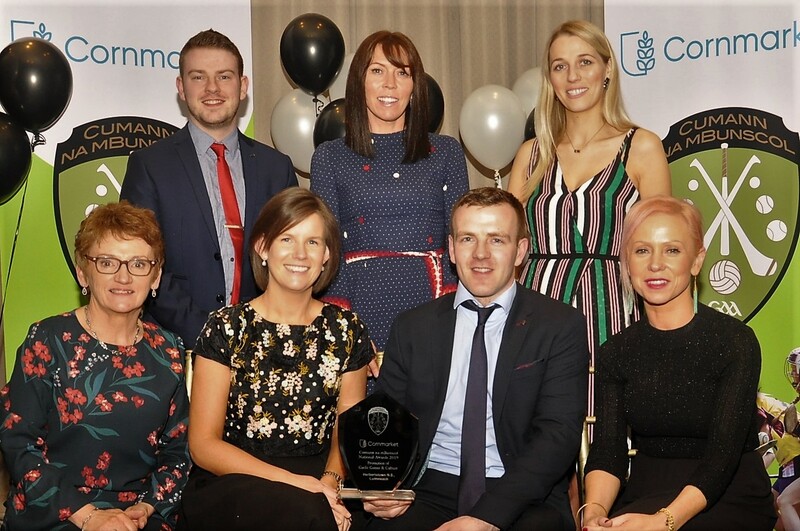 Herbertstown NS recently took part in The November Numeracy Challenge 2018 – an online maths competition contested by Mathletics schools from across Europe, the UK, the Middle East and Africa. 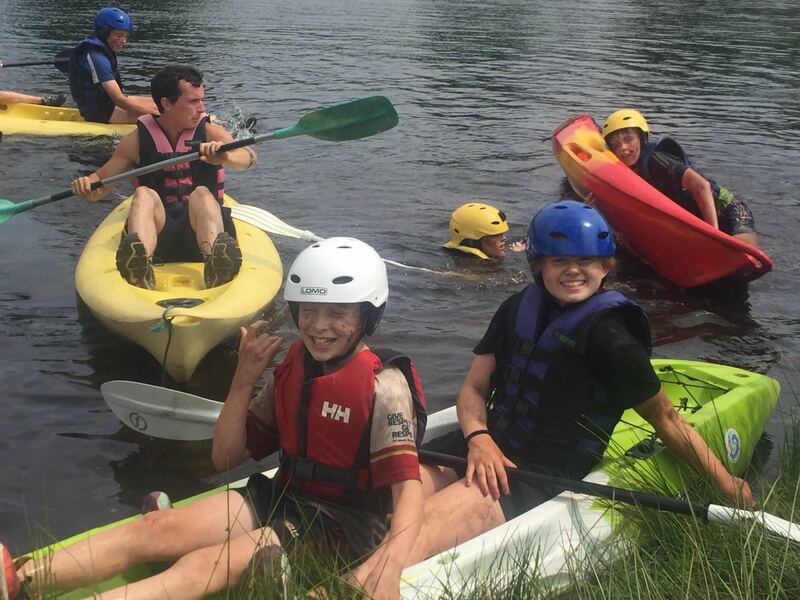 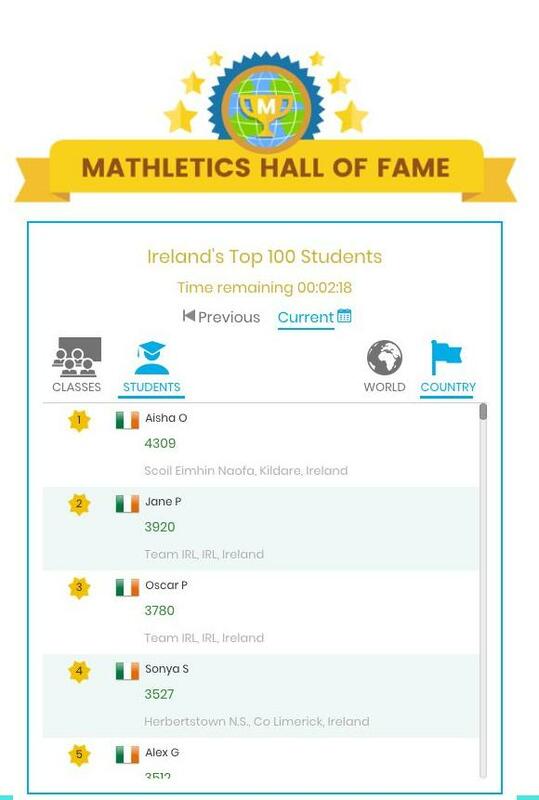 The competition was run over one week, seeing students compete in live, multi-player challenges plus answering self-paced adaptive maths curriculum questions, all using Mathletics. 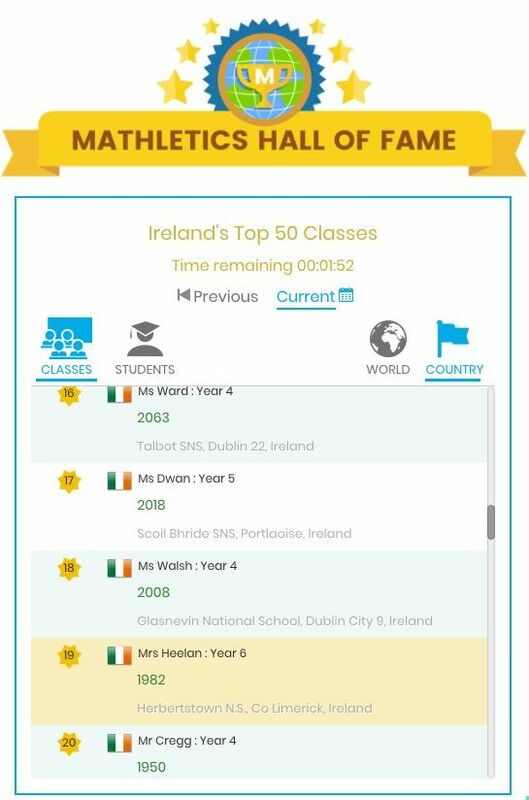 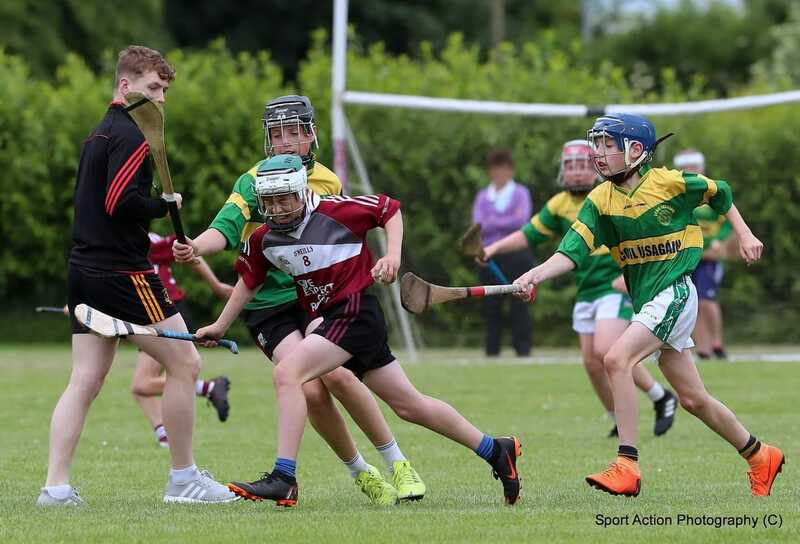 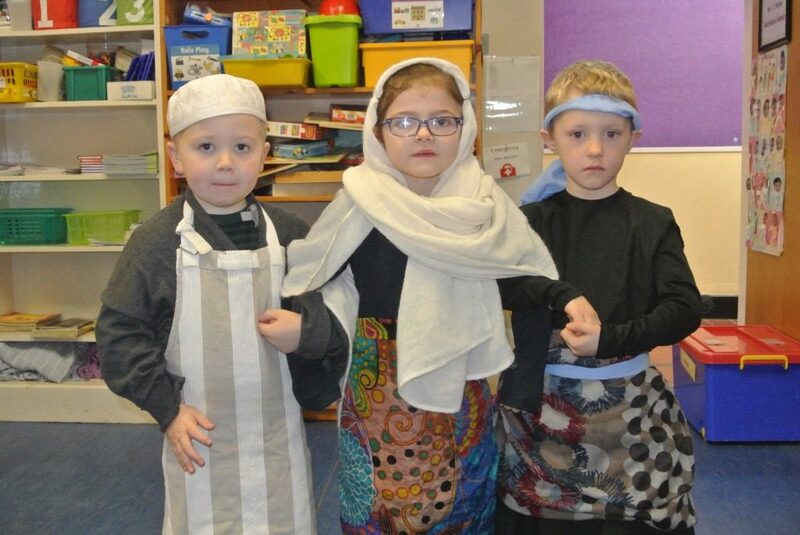 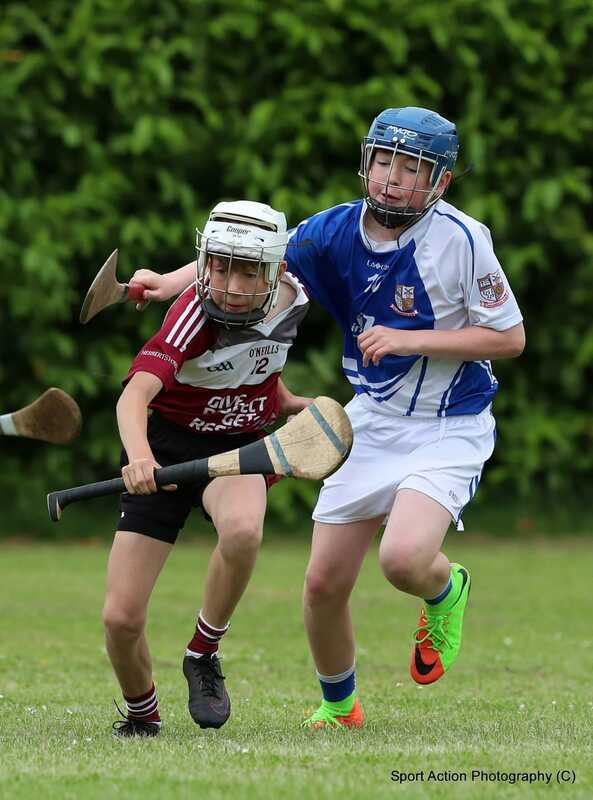 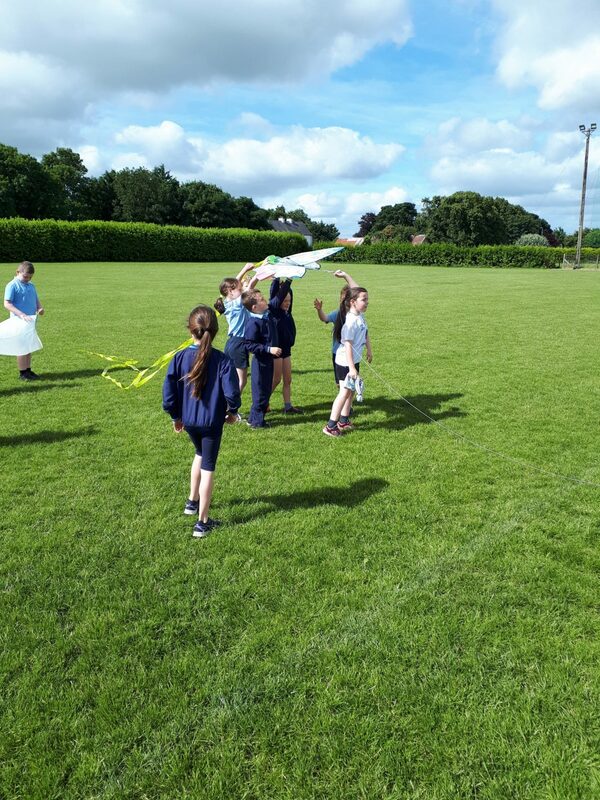 Throughout the week, Herbertstown NS pupils were well placed on the national scoring charts and our classes featured very prominently in Ireland’s top 20 schools. 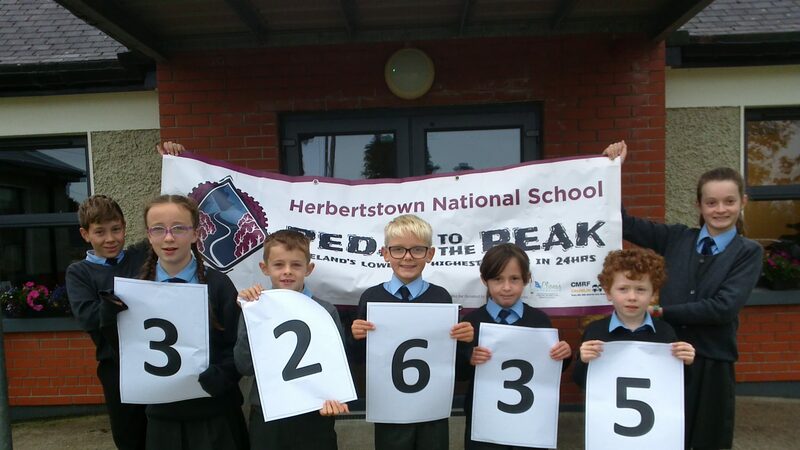 Once the final results were totted up from all participating schools around the world, Herbertstown NS placed 75th out of over 400 schools. 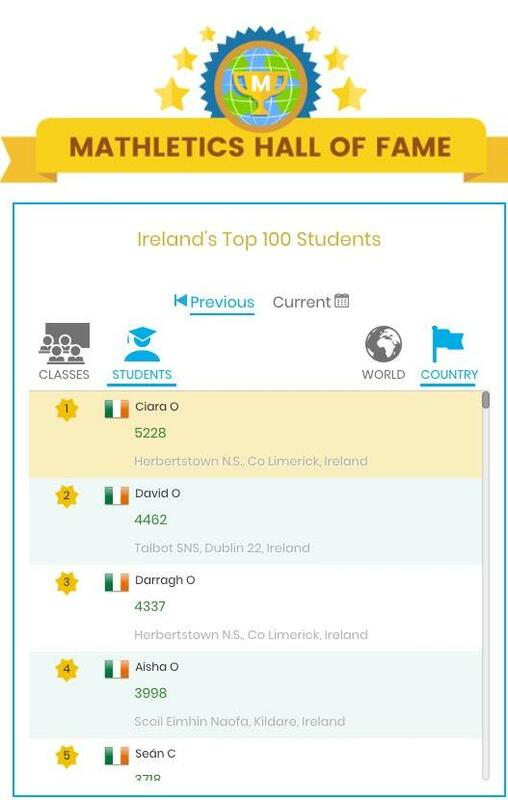 Upon closer inspection of the results, it became clear that Herbertstown NS was the highest ranked school from the Republic of Ireland! 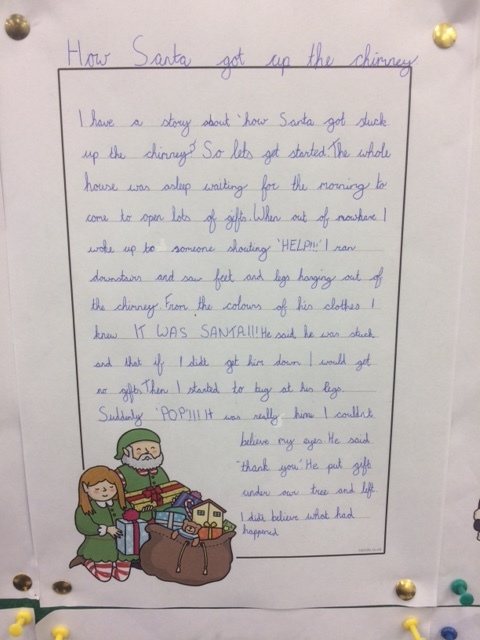 Well done to everyone that put in such a huge effort both in school and at home. 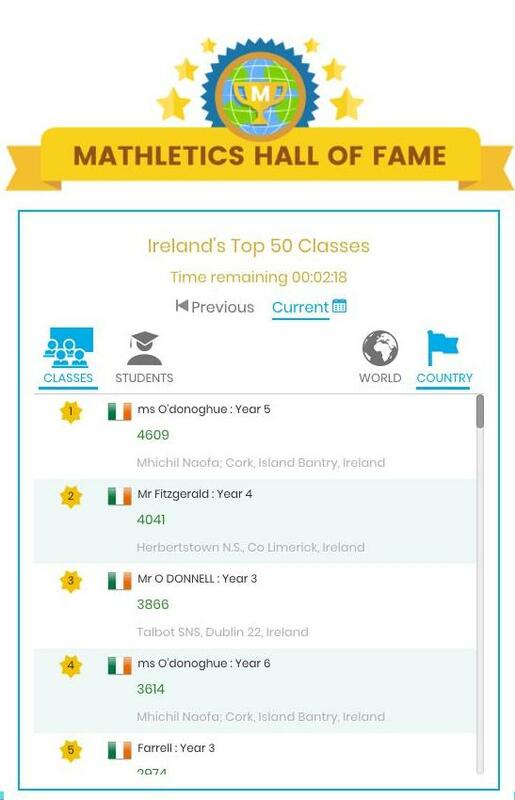 Mathletics will continue to be a valuable resource for our pupils for the rest of the school year with plenty of certificates and prizes still to be won.